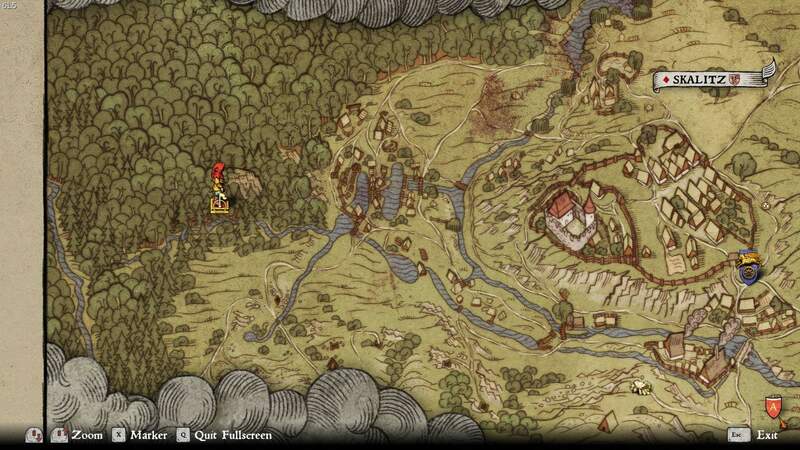 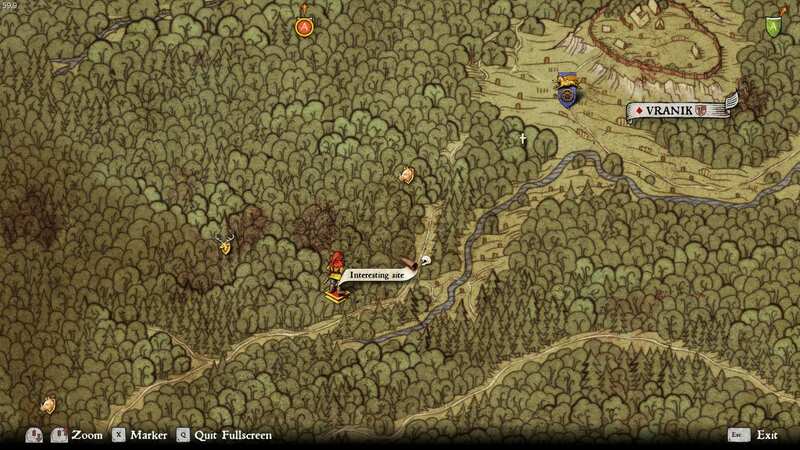 This Guide will show you where the treasures are and how to get to them. 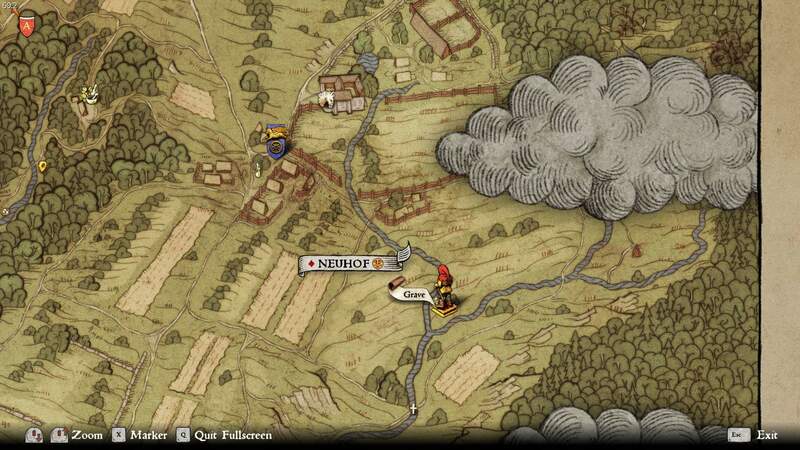 This treasure is located South East of Neuhof. 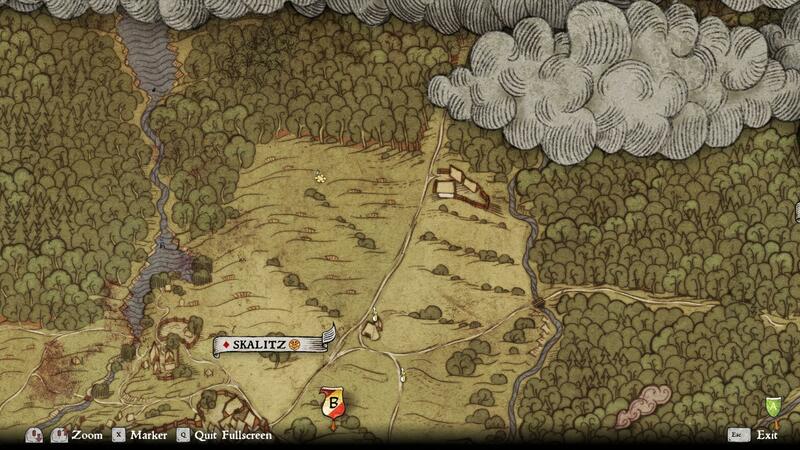 Once at the camp follow the path up hill to get to the chest located at the burned down site. 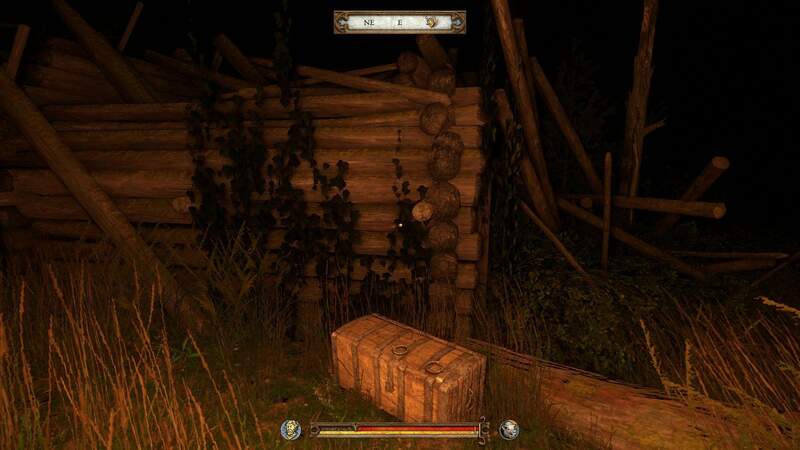 This is a Hard difficulty chest so it may take some time before you can open it. 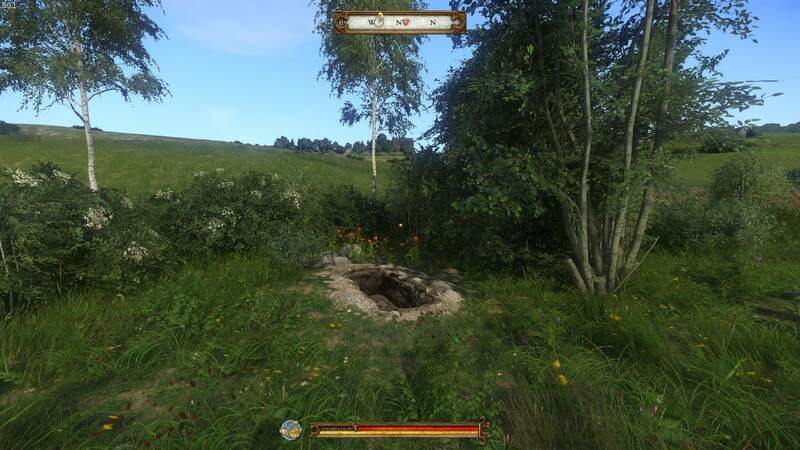 This treasure is located South of Sasau. 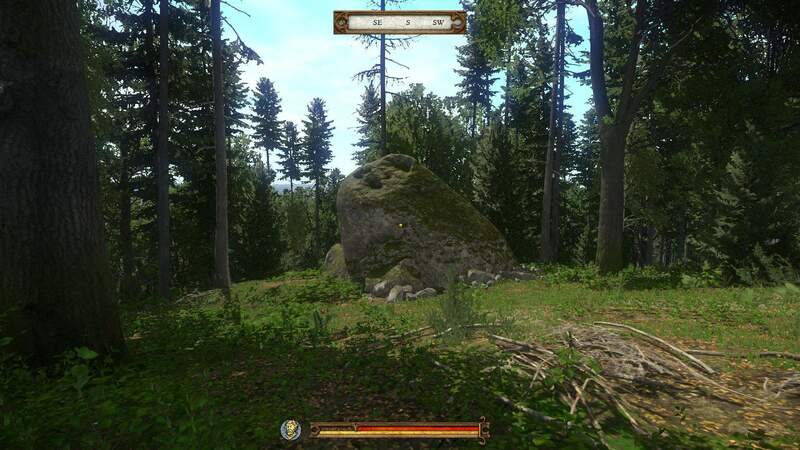 When the river stops head south and you will see a giant rock like the one on the map. 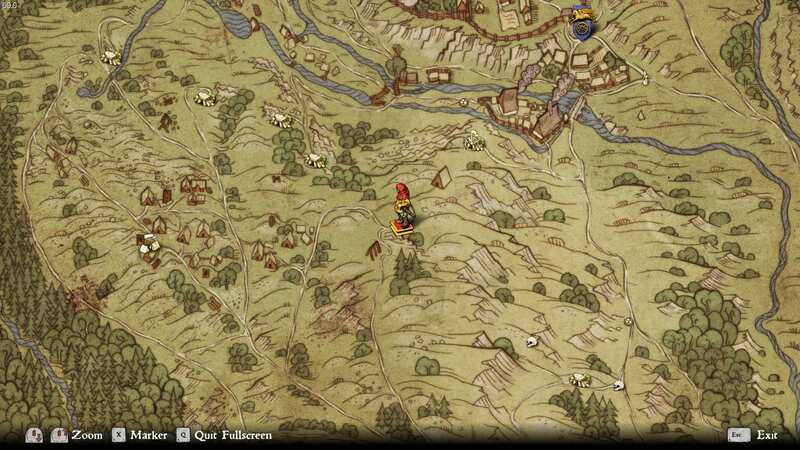 Countinue south until you run into the cave there. 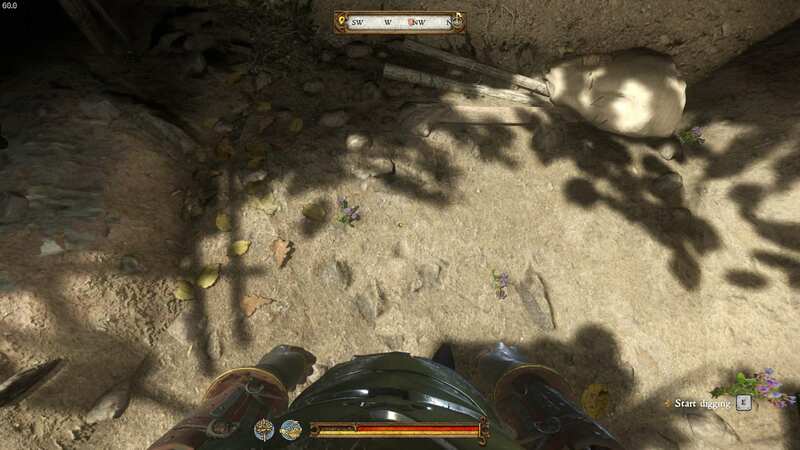 There is a loot bag inside the cave and a grave to be dug up that contains some herbs. 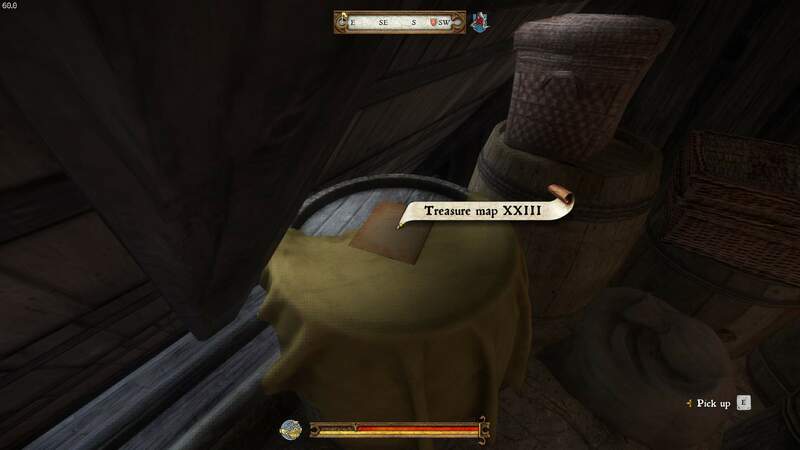 This Treasure is located just North of Uzhitz. 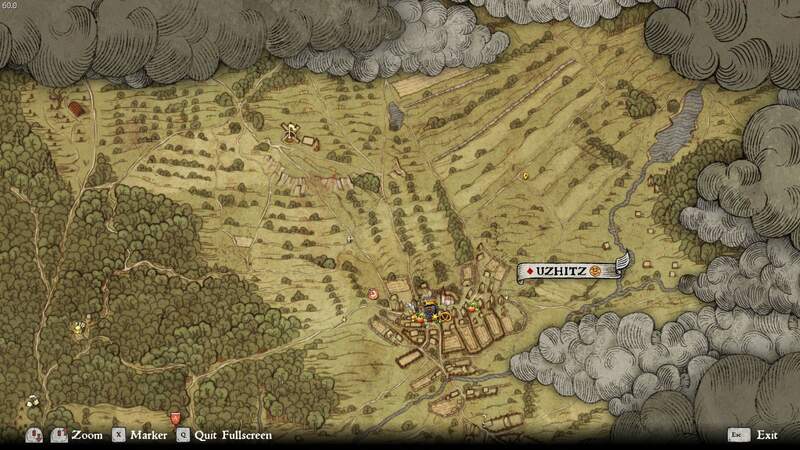 Head North of Uzhitz untill you see the mill, head west from there until you see the tree like the one on the map. 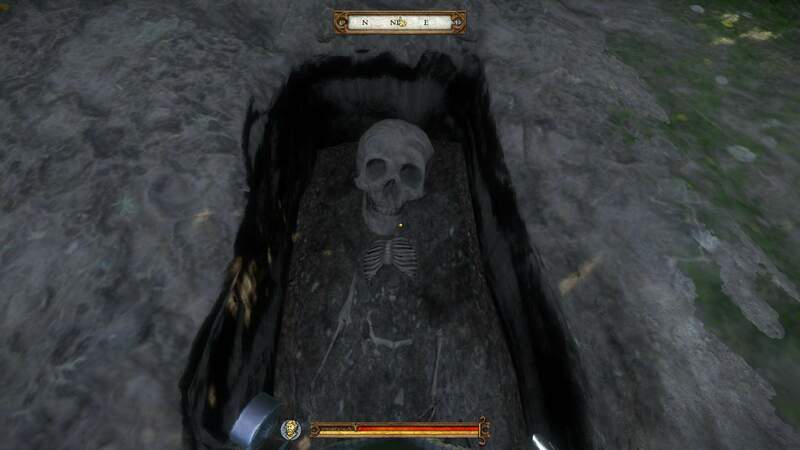 There will be a grave to dig up. 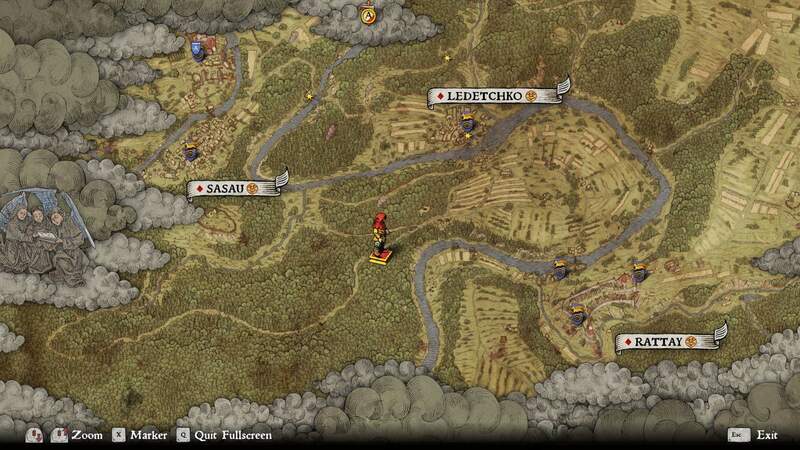 Located East of Sasu, this treasure is also right next the a camp. 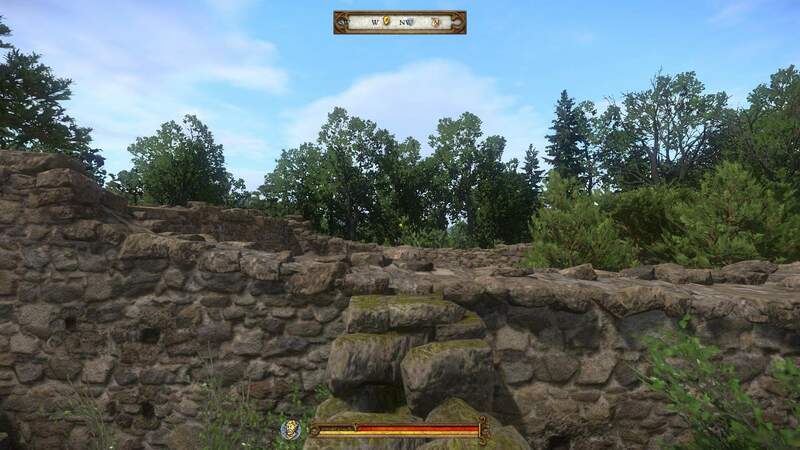 Circle the ruin and you should see a spot you can walk on in order to get into the building. 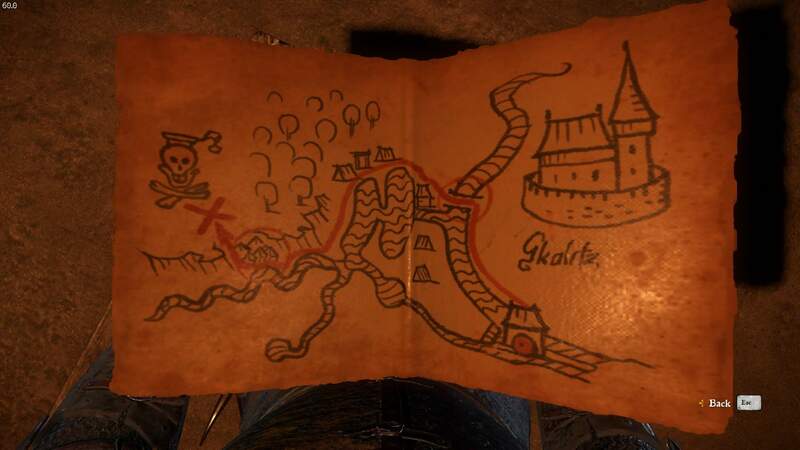 There will be a locked chest with the easy difficulty. 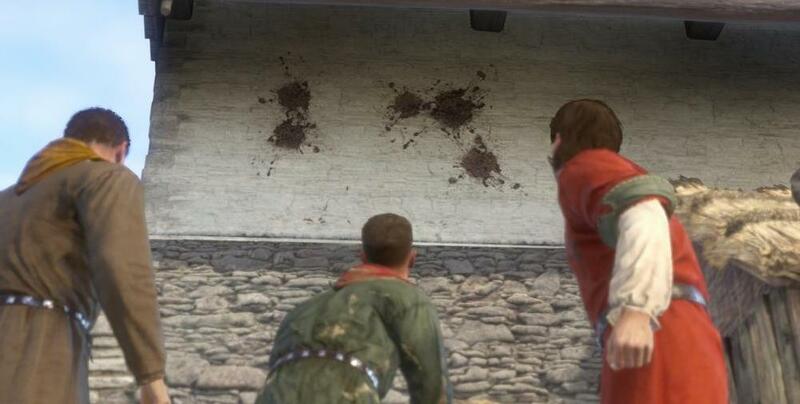 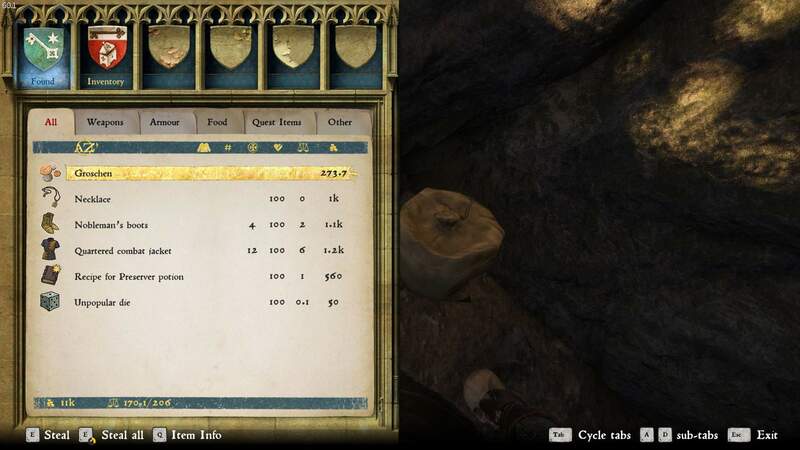 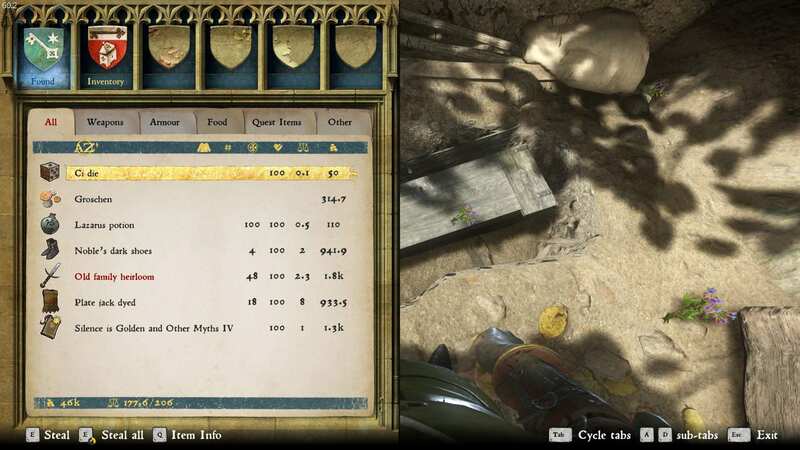 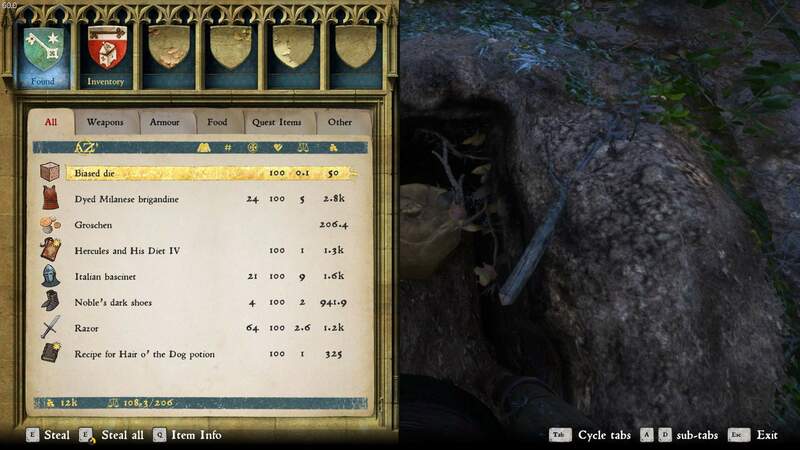 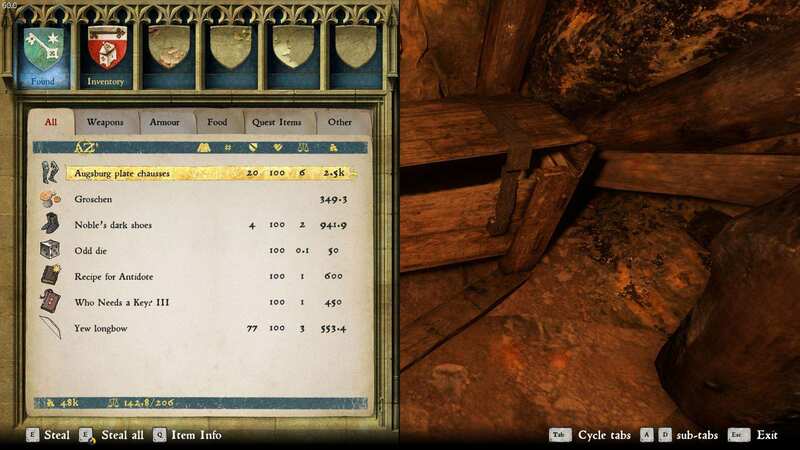 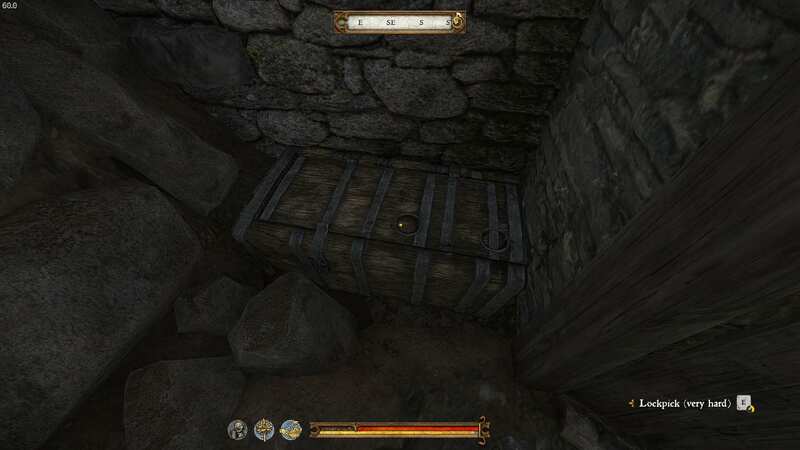 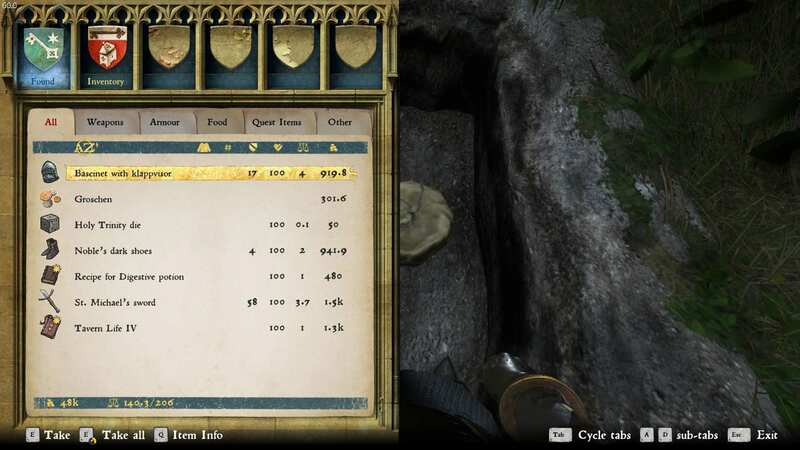 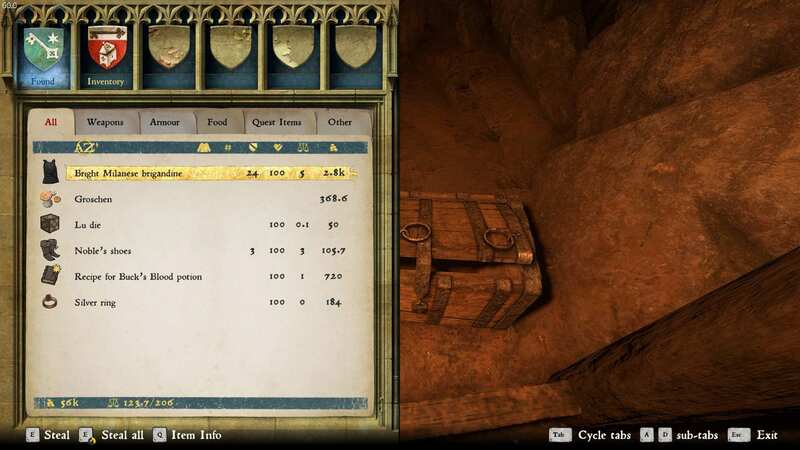 Located North West of Skalitz, this treasure is located at a deer hunting post. 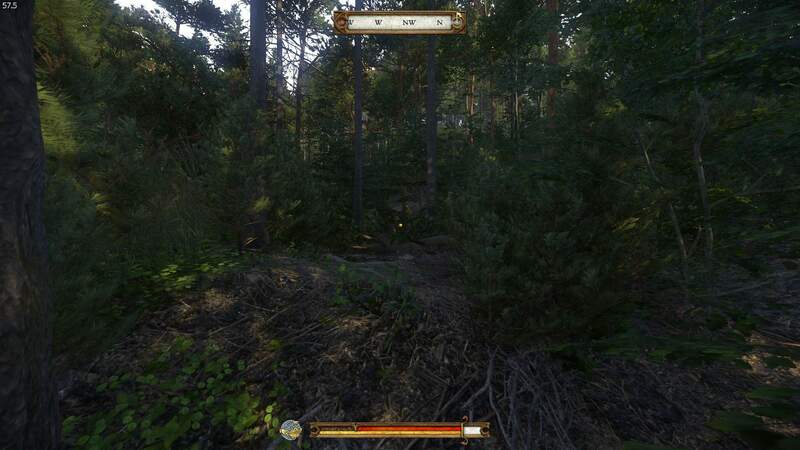 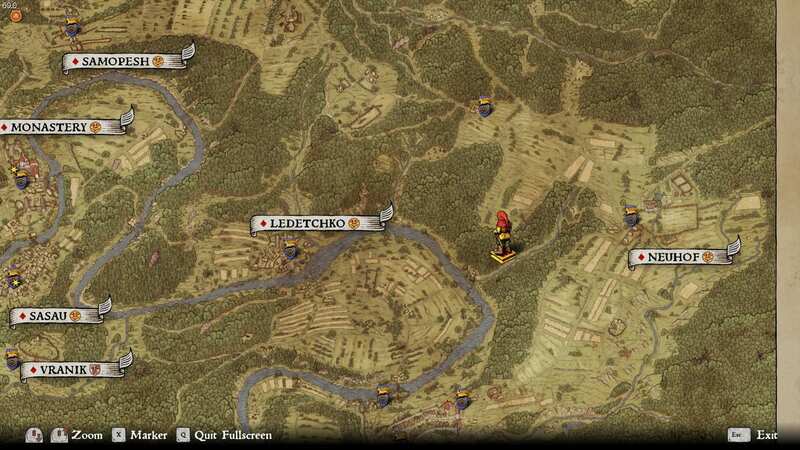 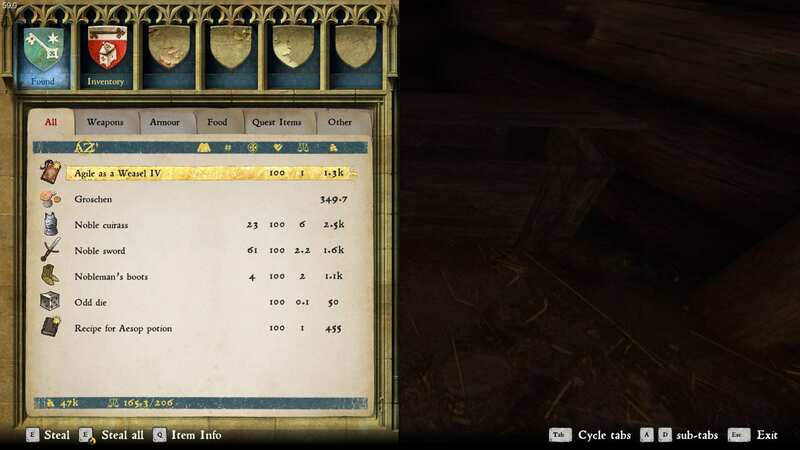 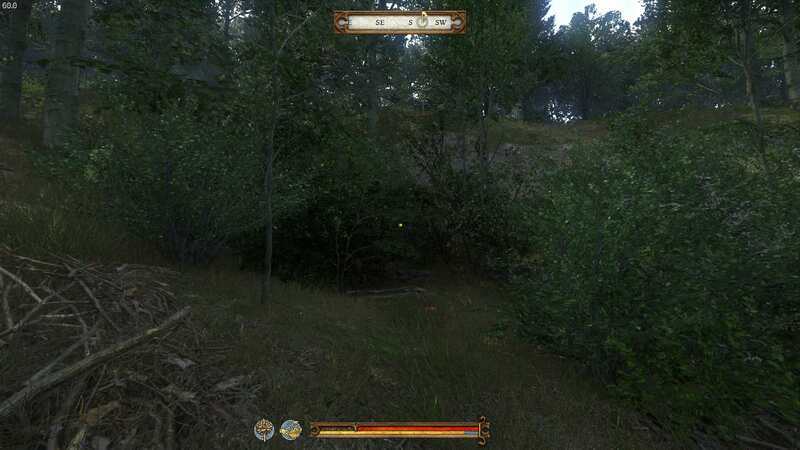 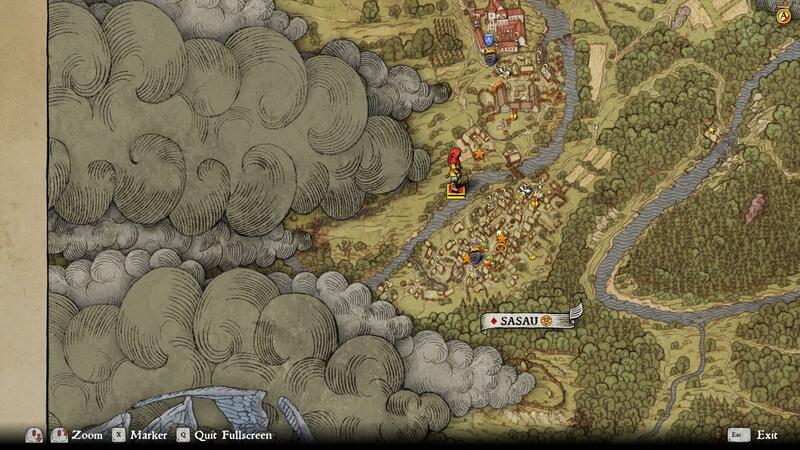 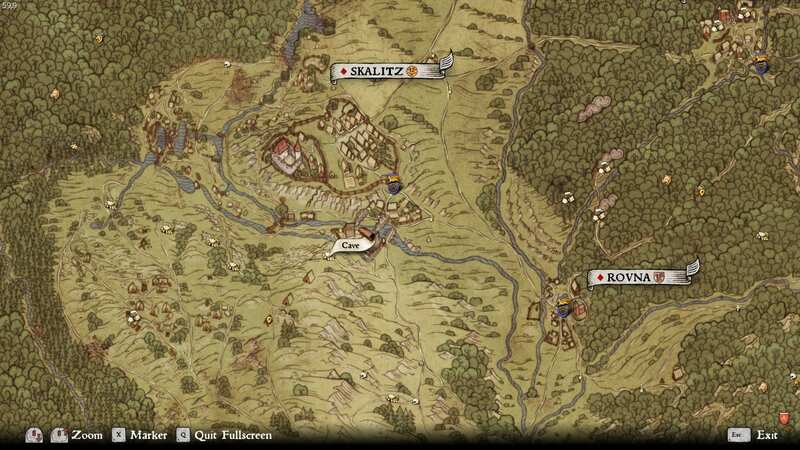 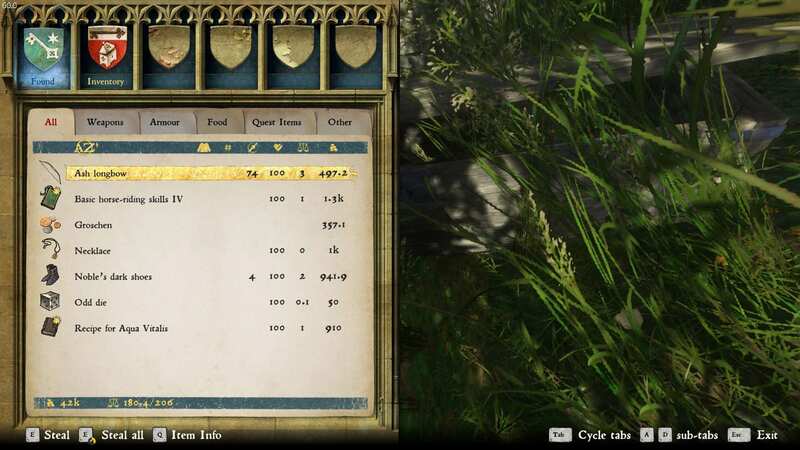 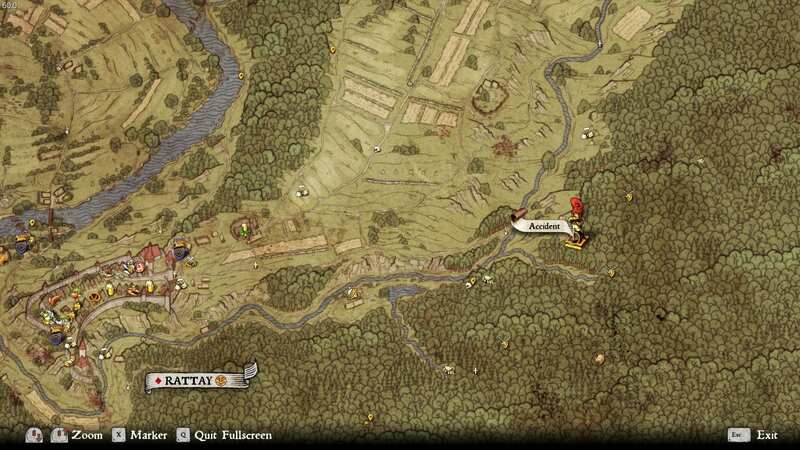 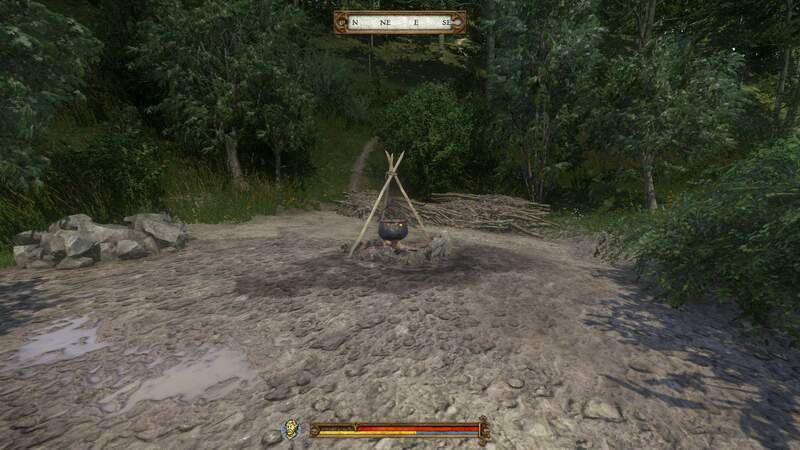 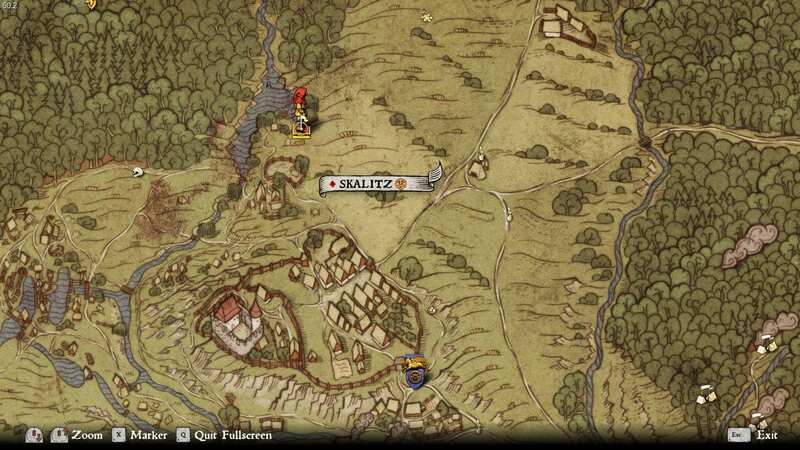 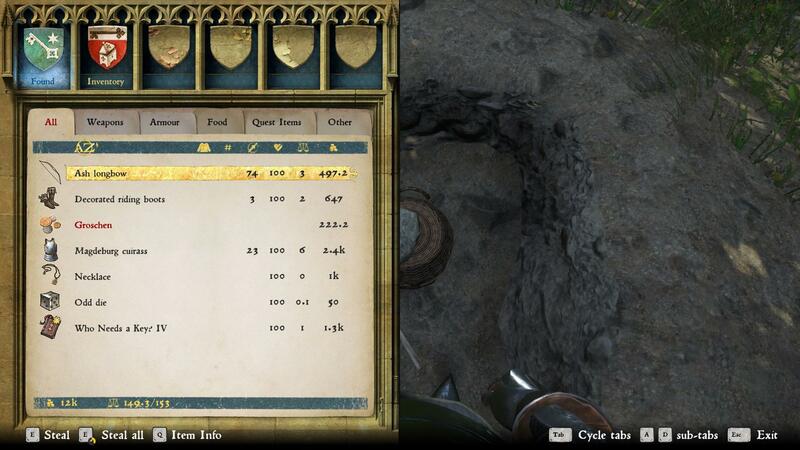 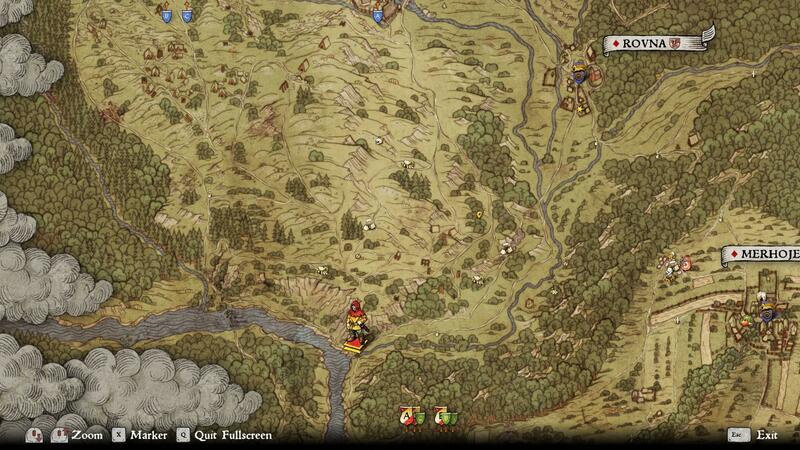 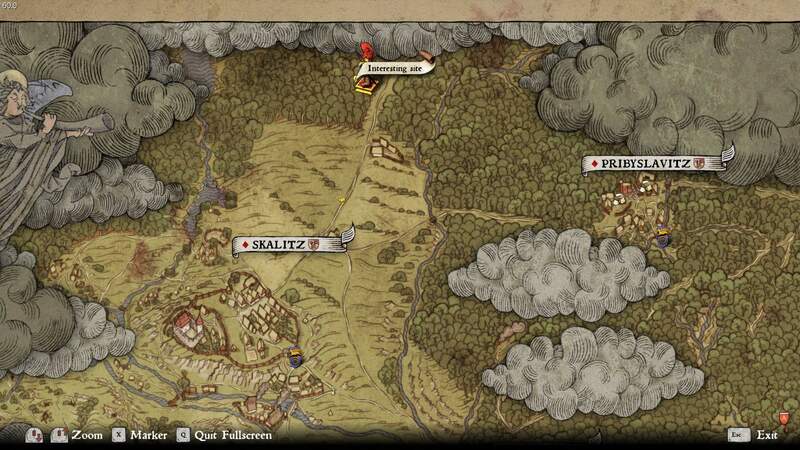 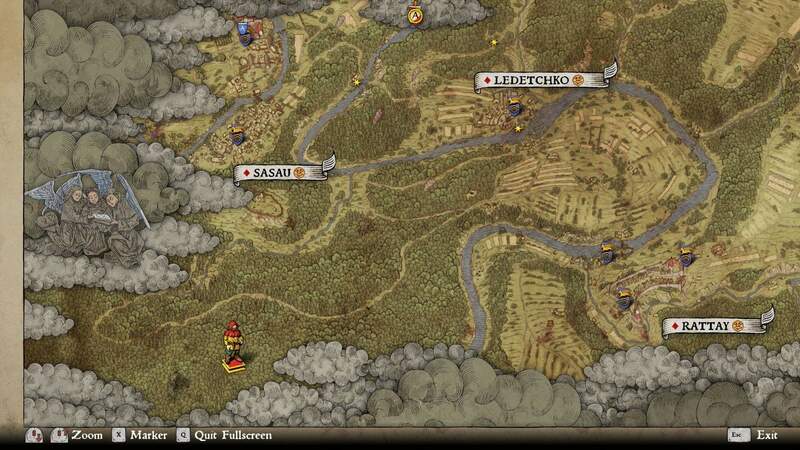 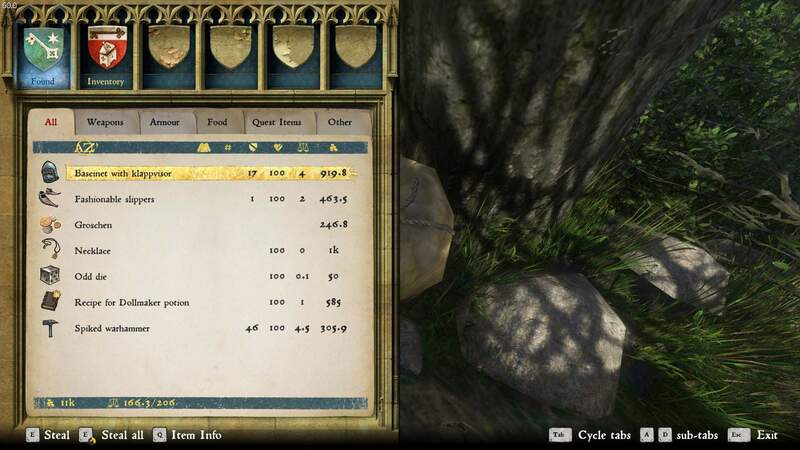 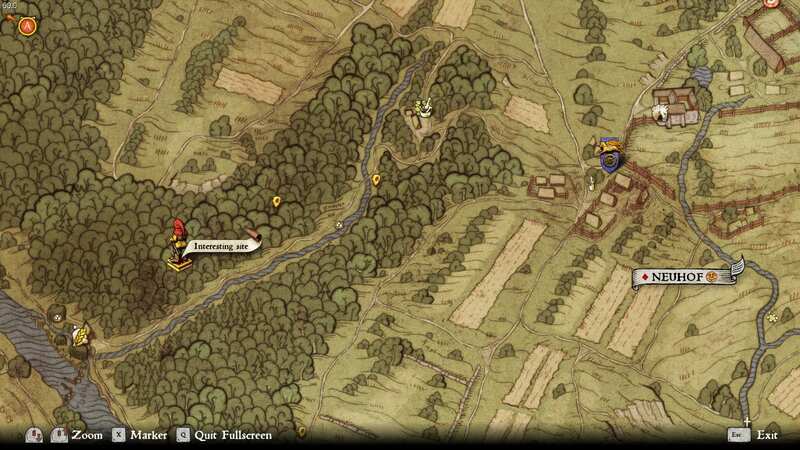 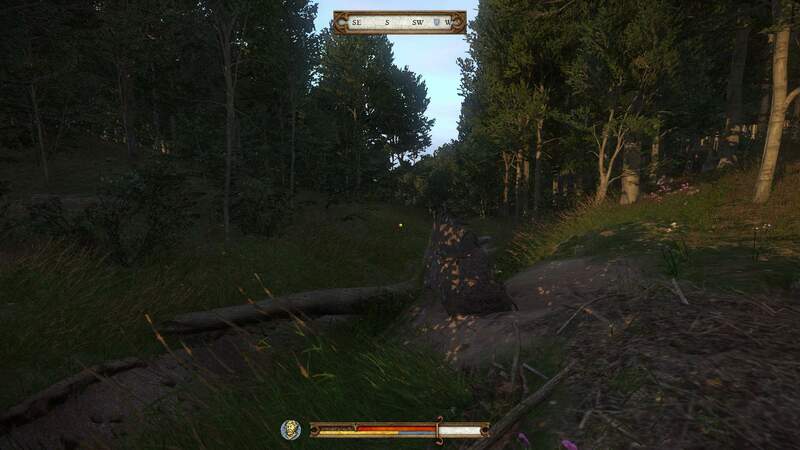 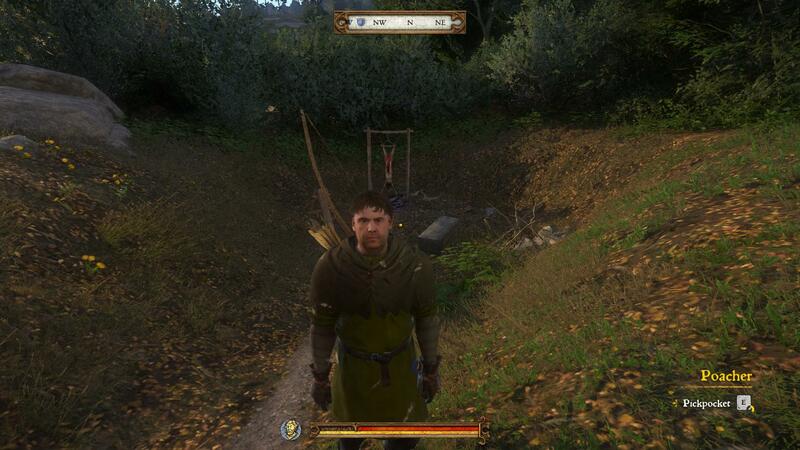 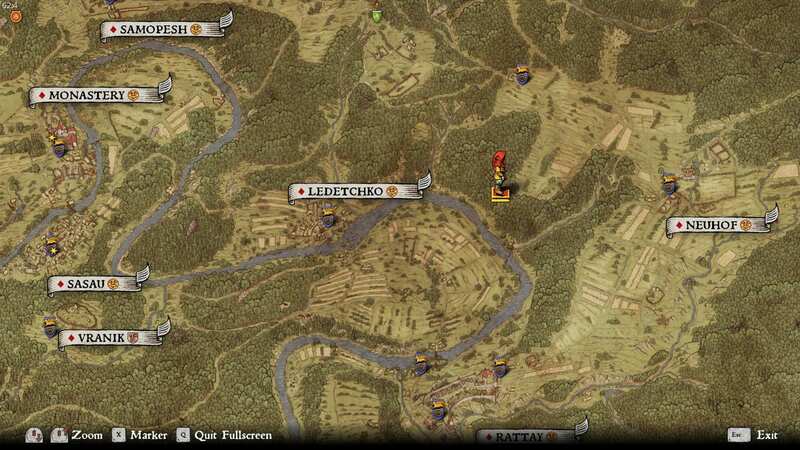 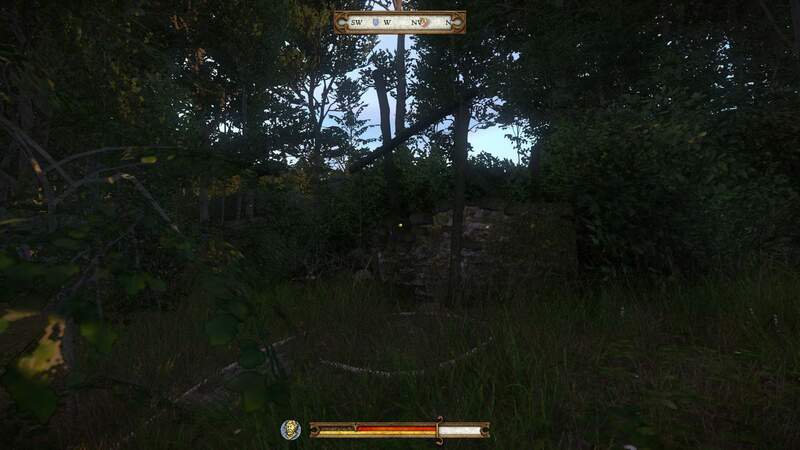 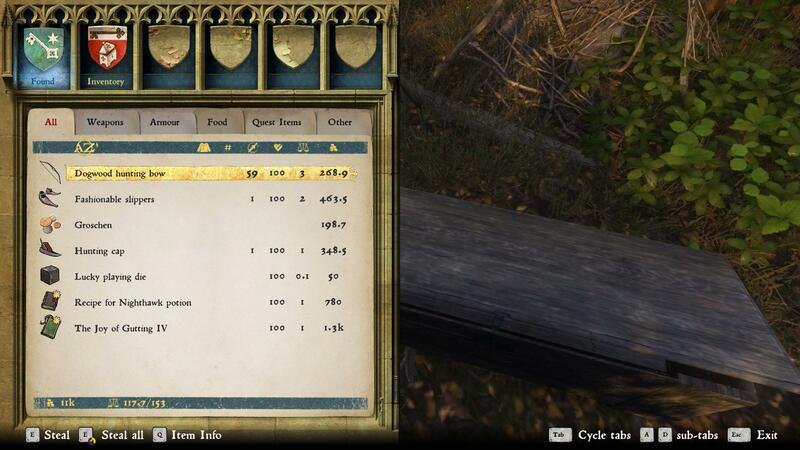 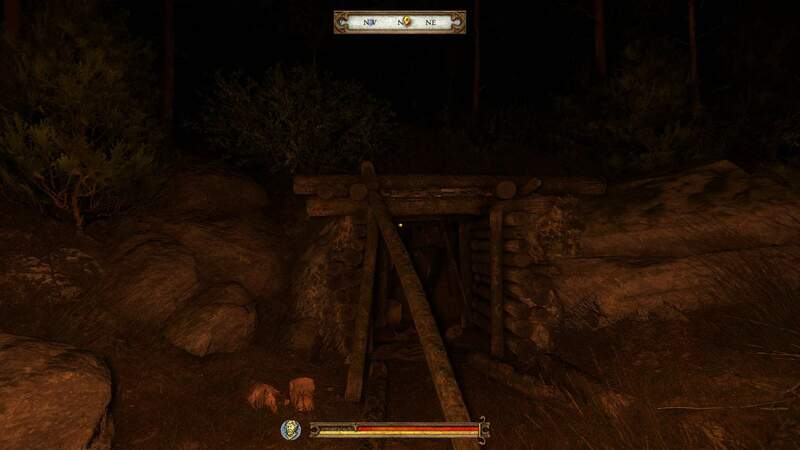 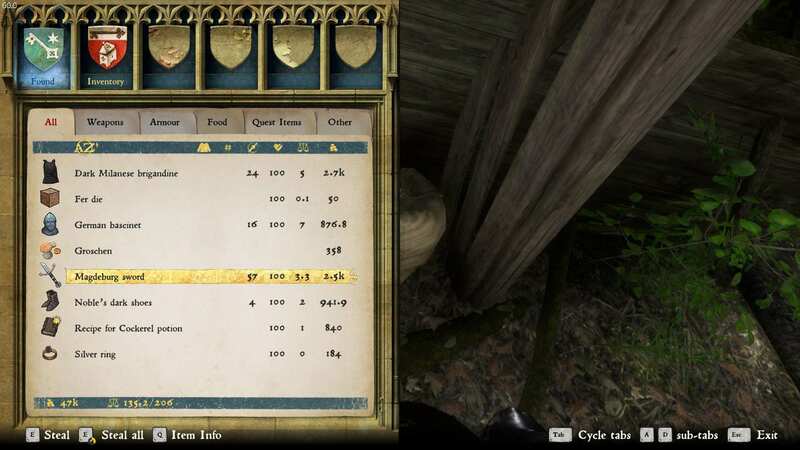 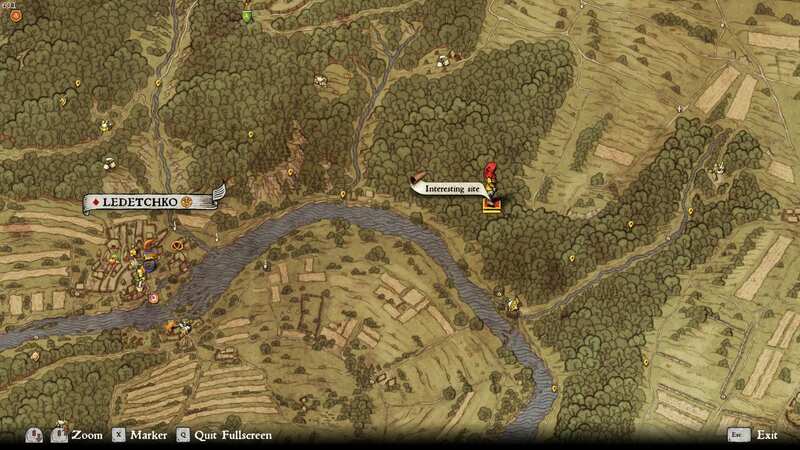 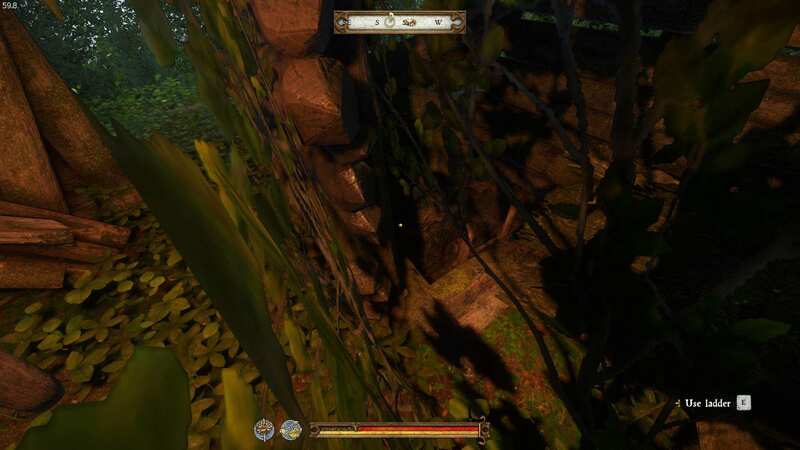 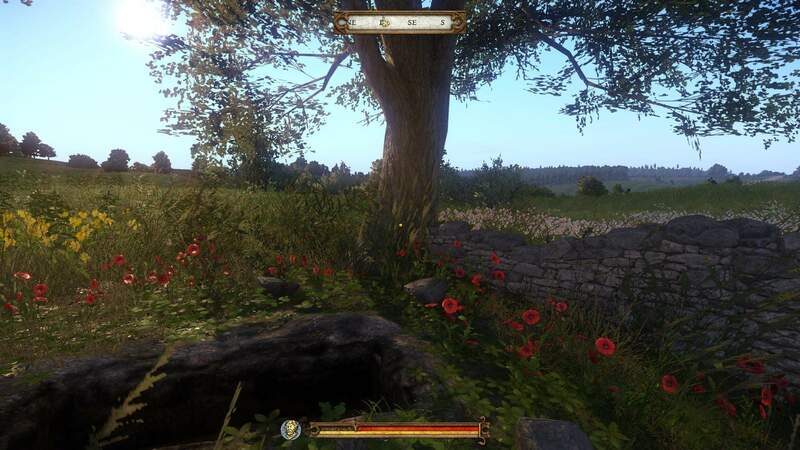 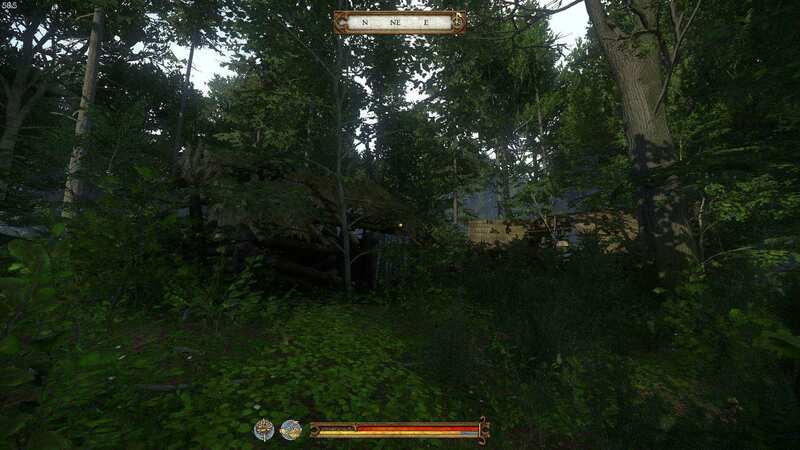 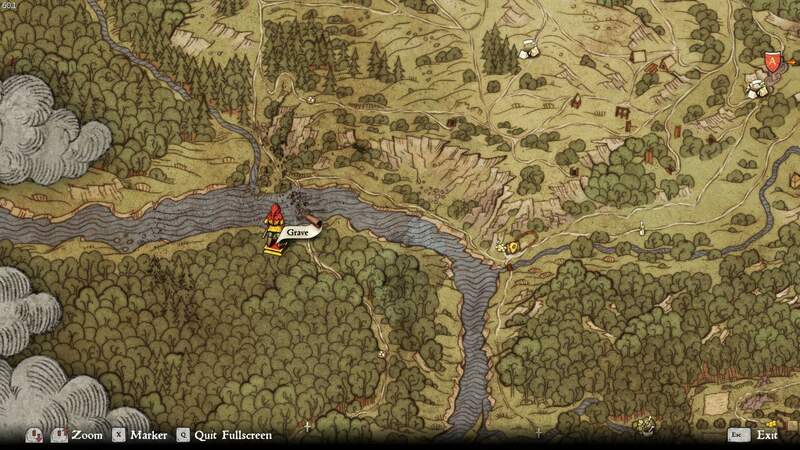 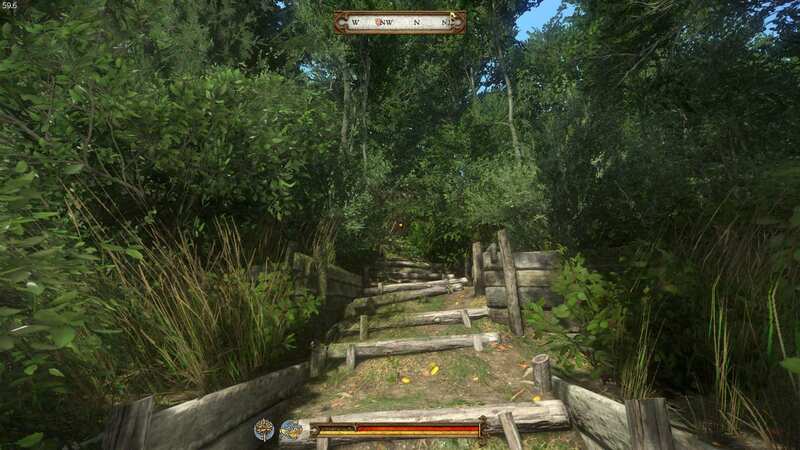 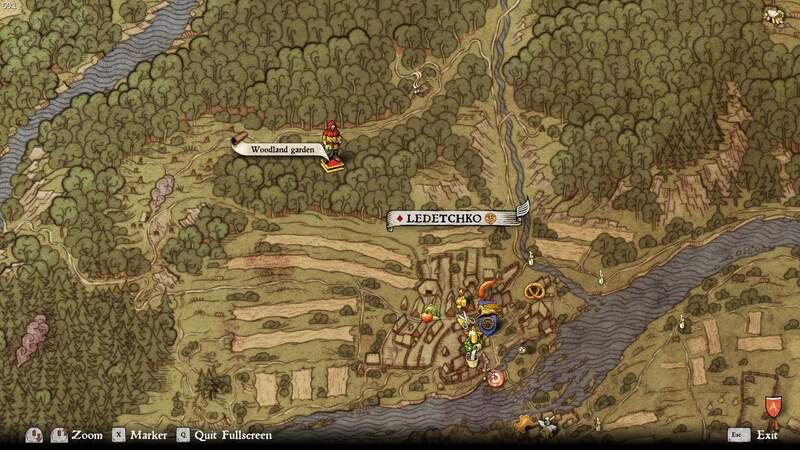 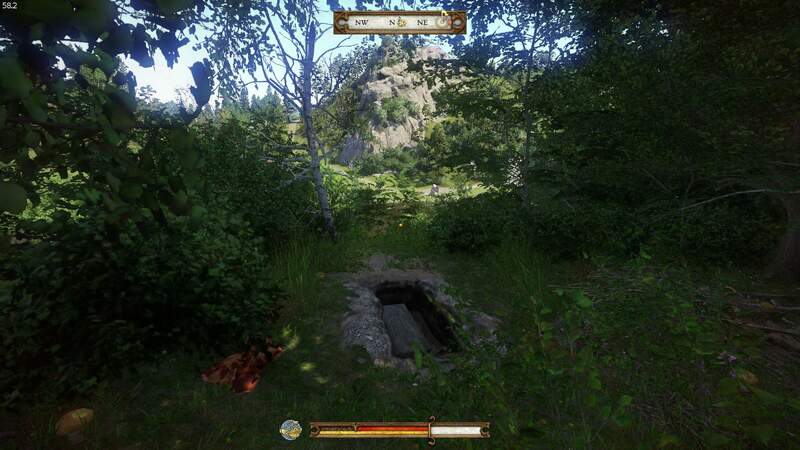 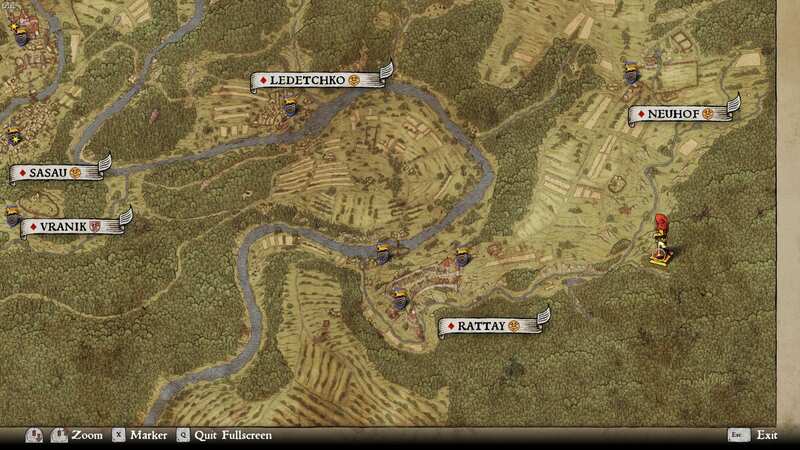 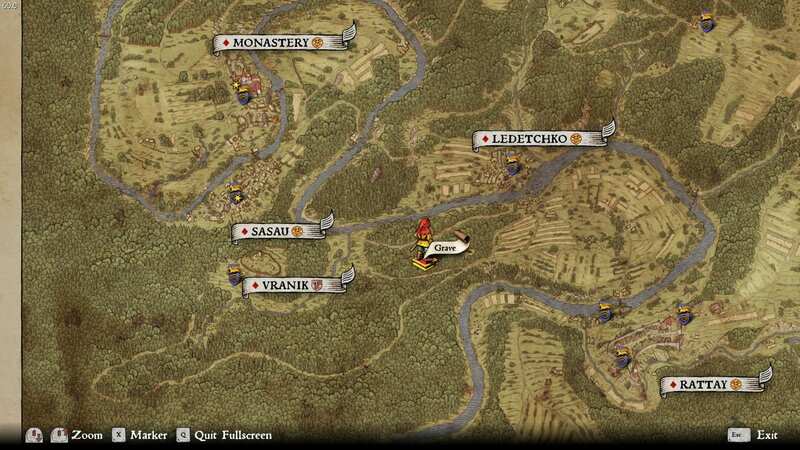 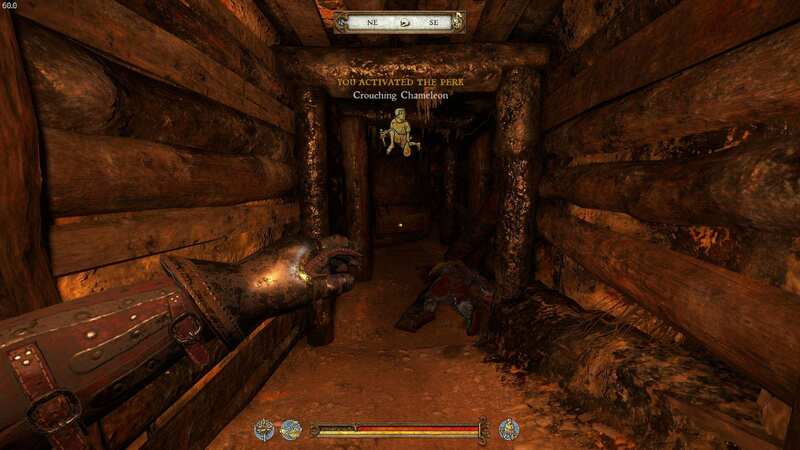 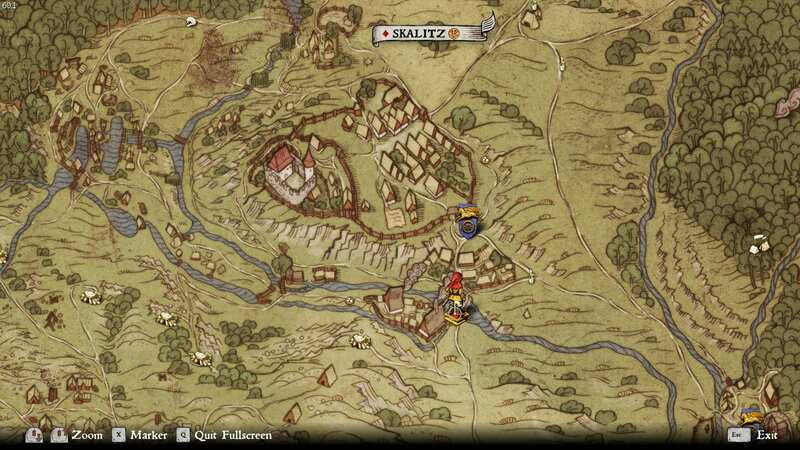 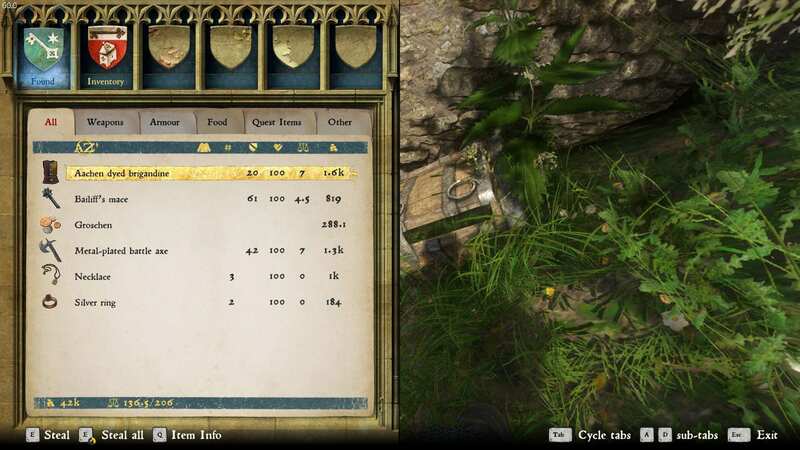 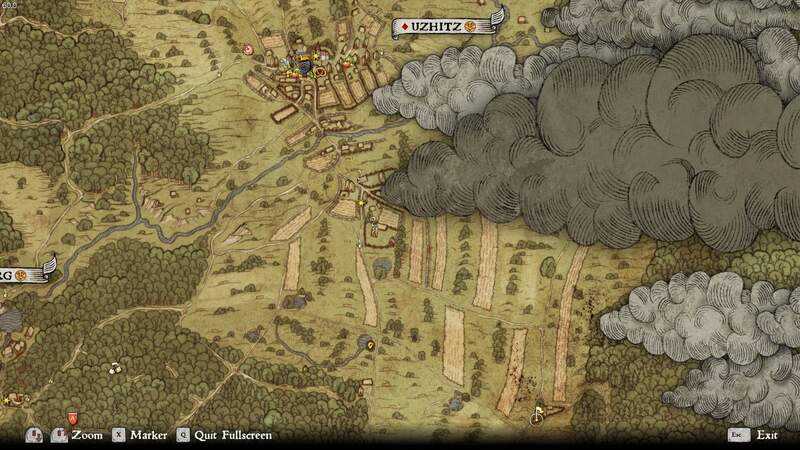 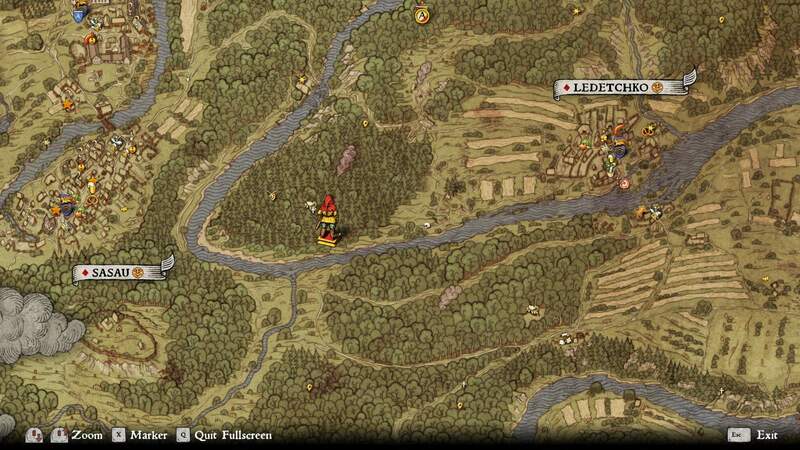 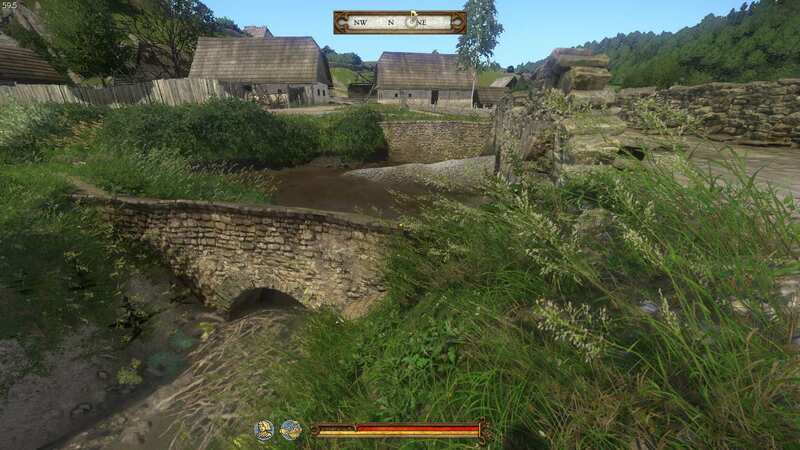 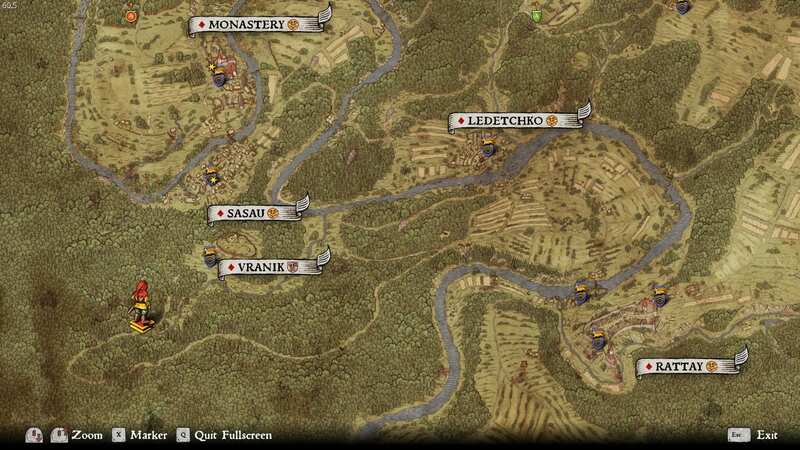 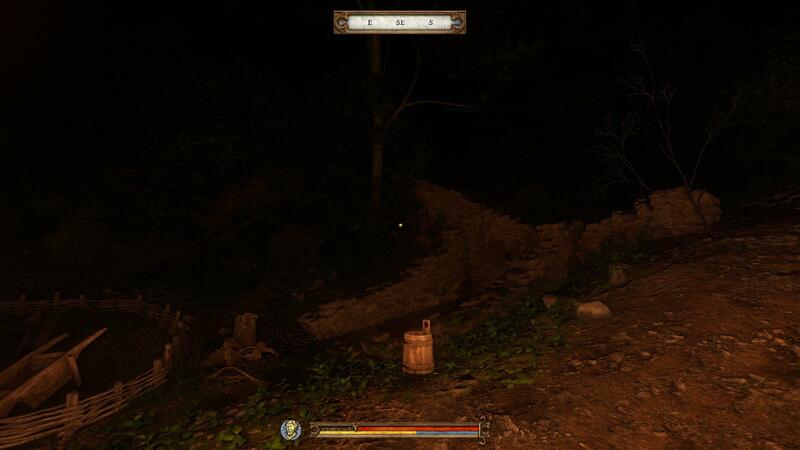 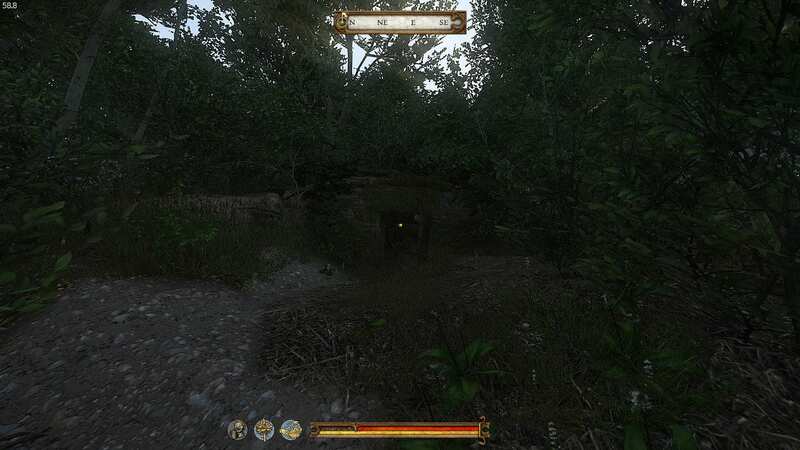 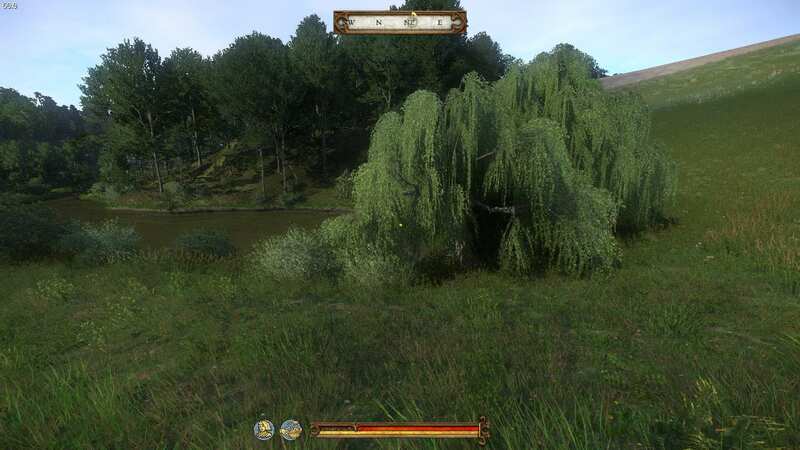 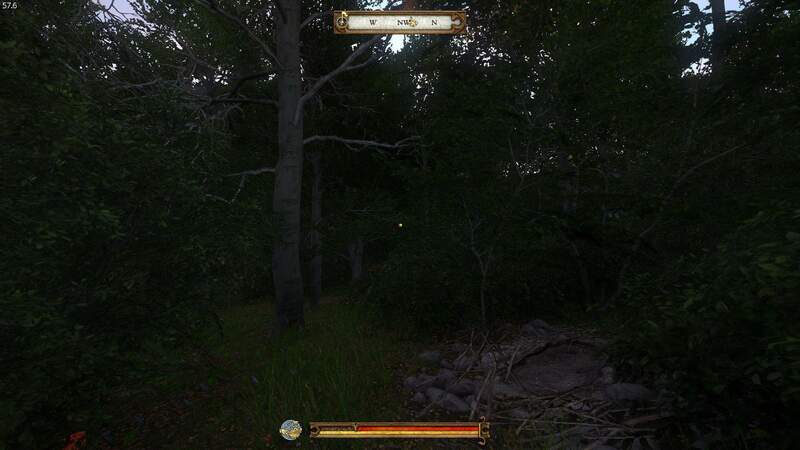 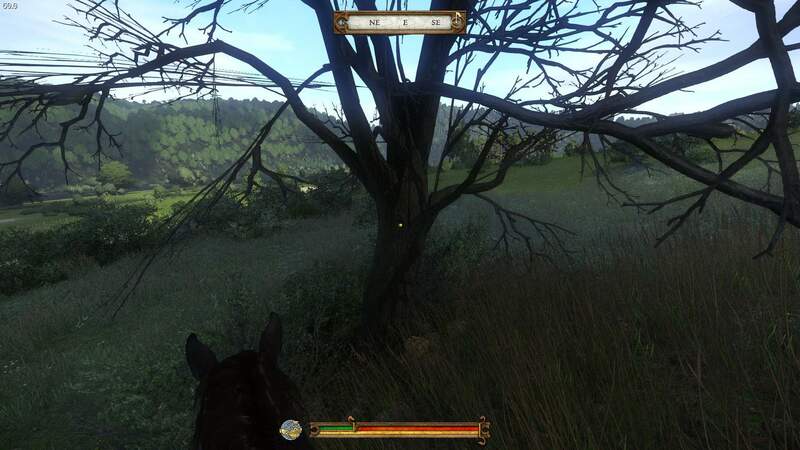 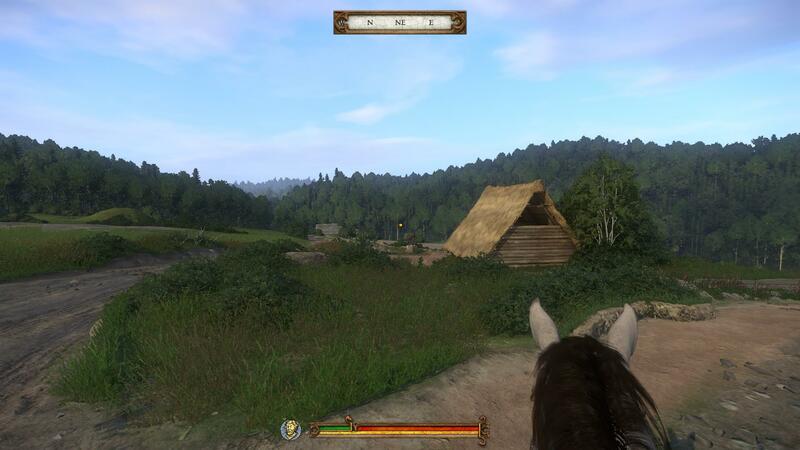 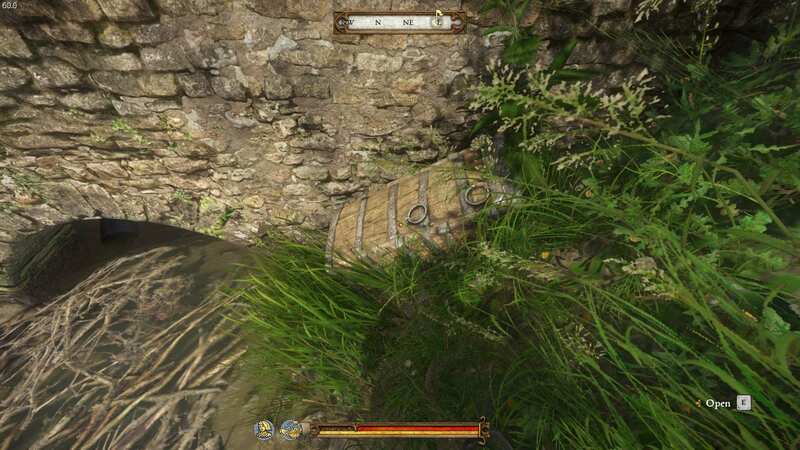 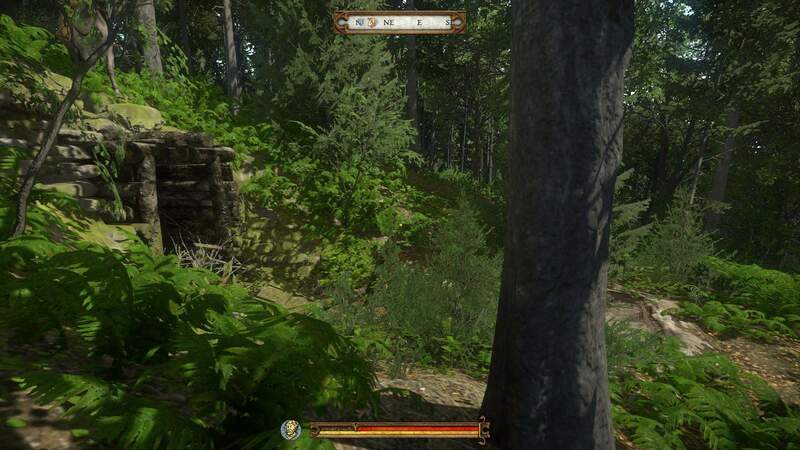 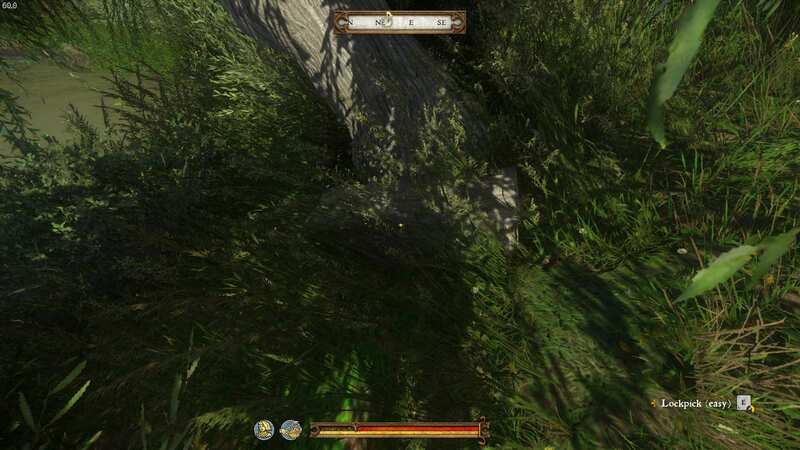 Head up stream from Skalitz then West to get to the deer hunting ground. 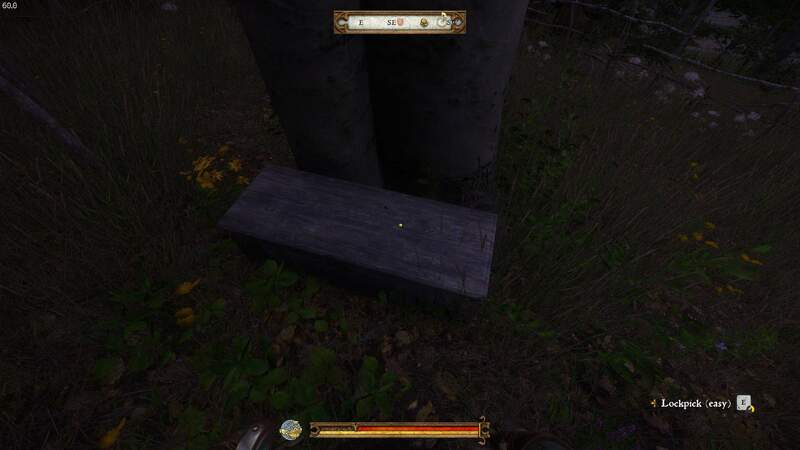 The chest here is very difficult. 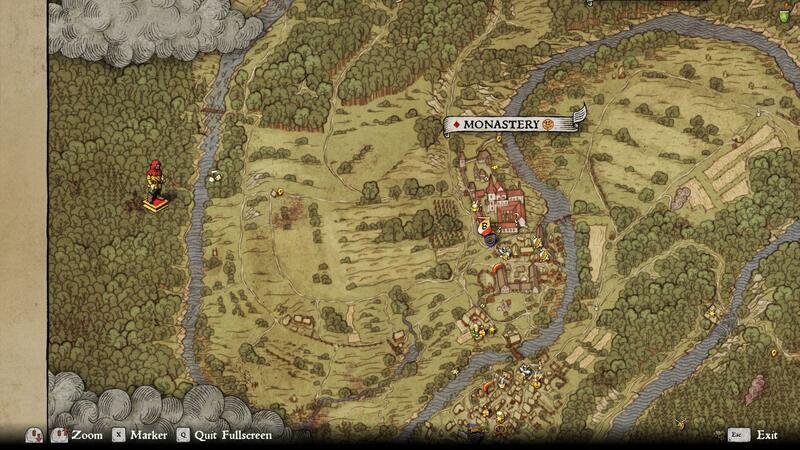 Located West of Monastery. 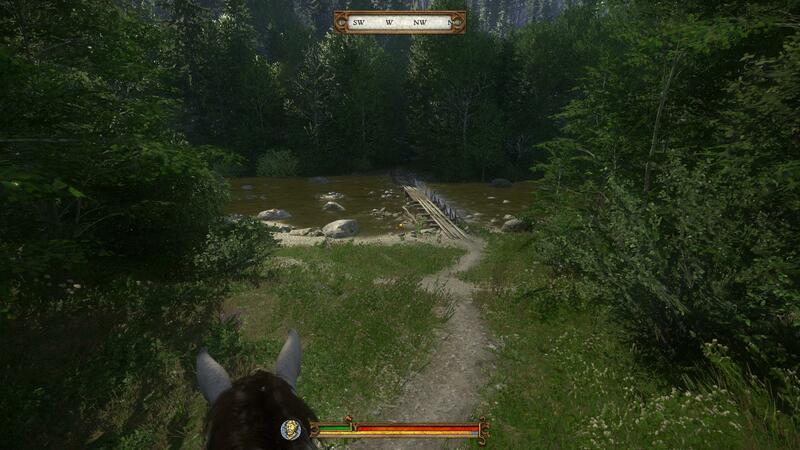 Cross the river West of Monastery and continue up stream until you run into two abandoned log cabins. 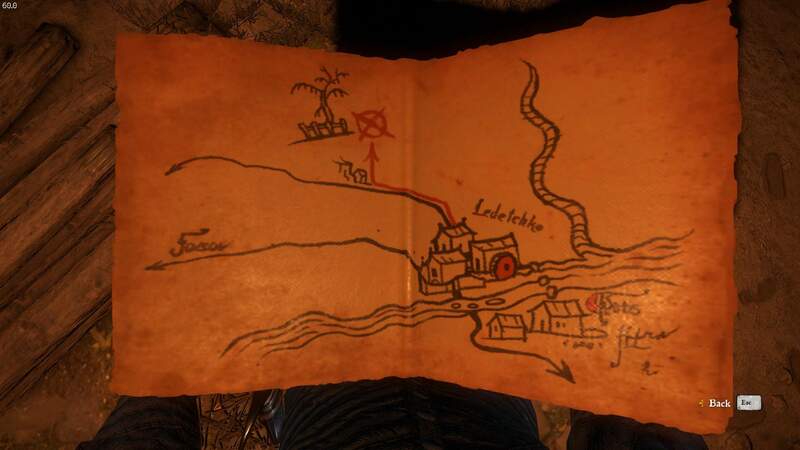 There is one chest near each cabin, one being an Easy and the other being a Very Hard. 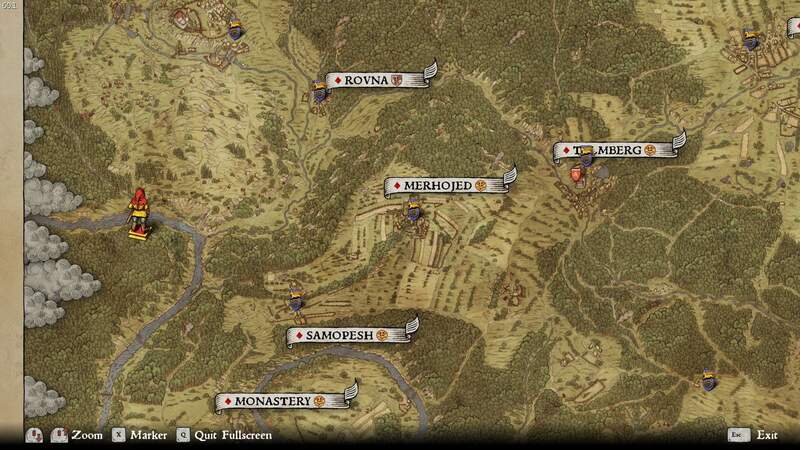 Located South East of Merchojed. 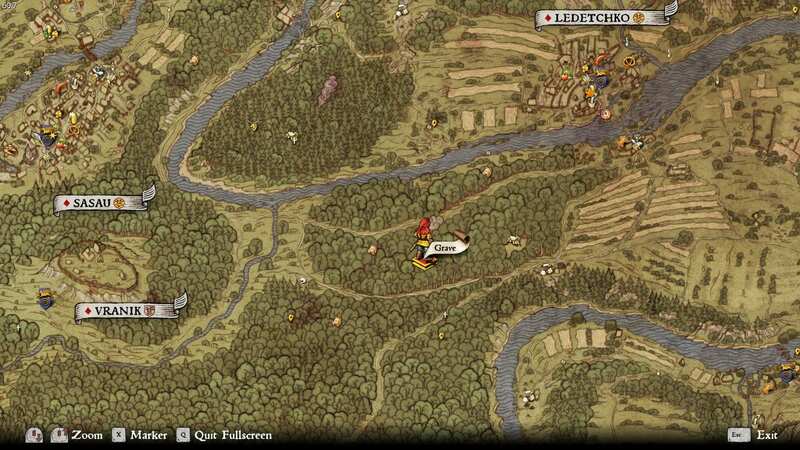 Head to the end of the river near Merchojed and continue up stream until you find a fallen tree on the river. 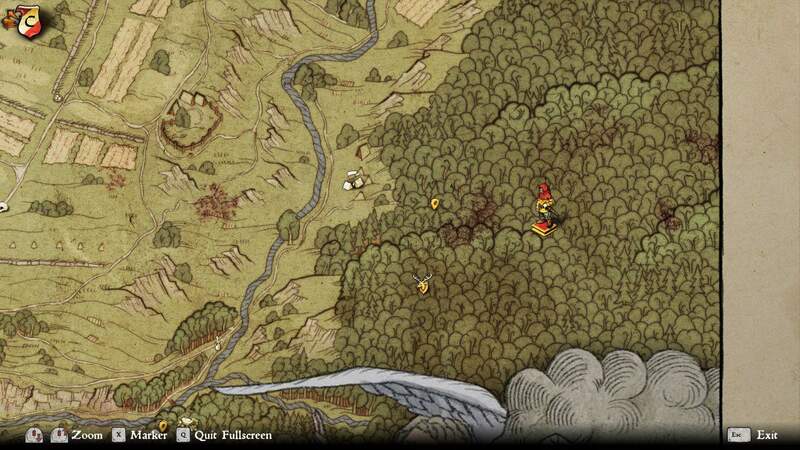 Take a few step past the fallen tree and head North West into the forest where you will find a well and a sack inside. 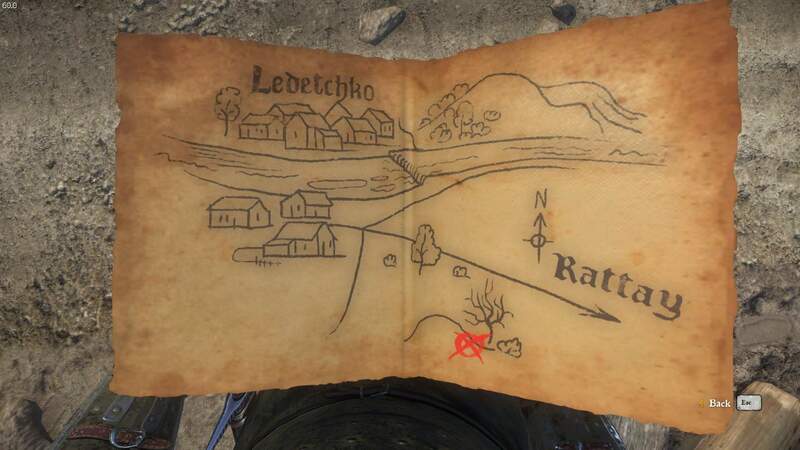 Located between Ledtchlco and Sasu. 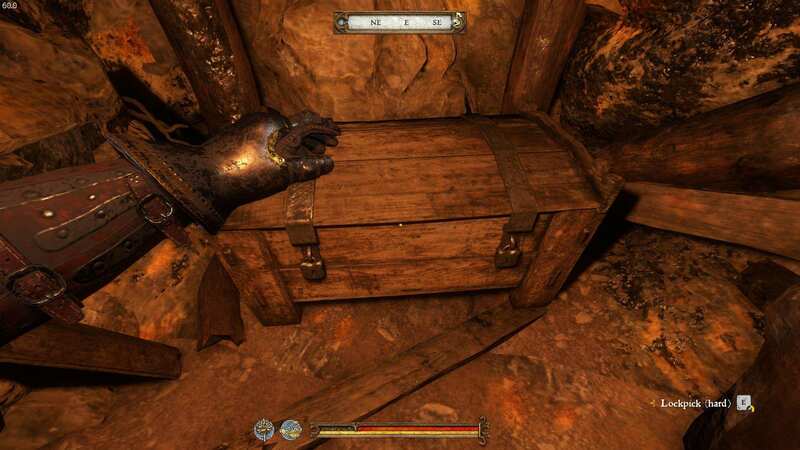 This treasure is inside a cave but bare in mind that there are two caves around this location and only one has the treasure. 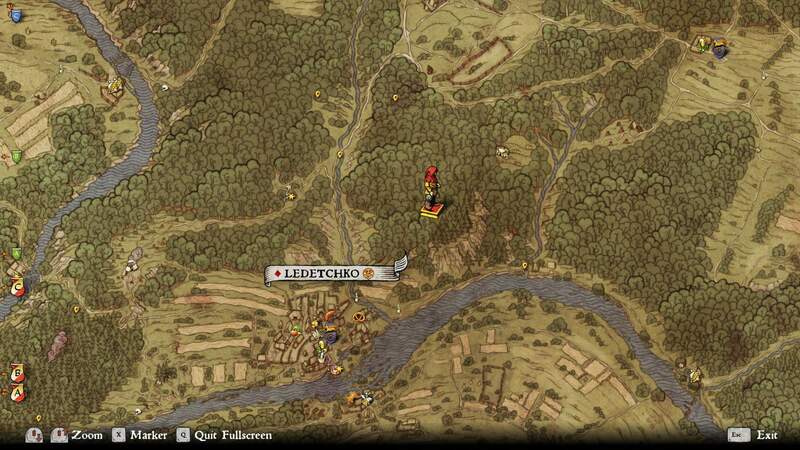 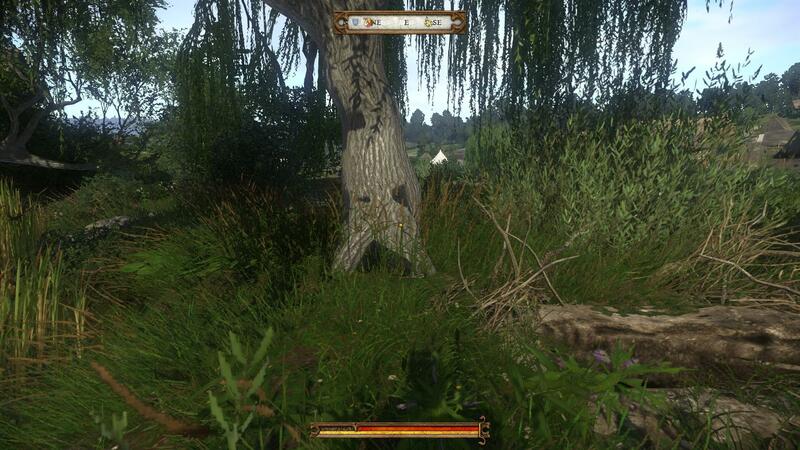 Located South East of Rattay. 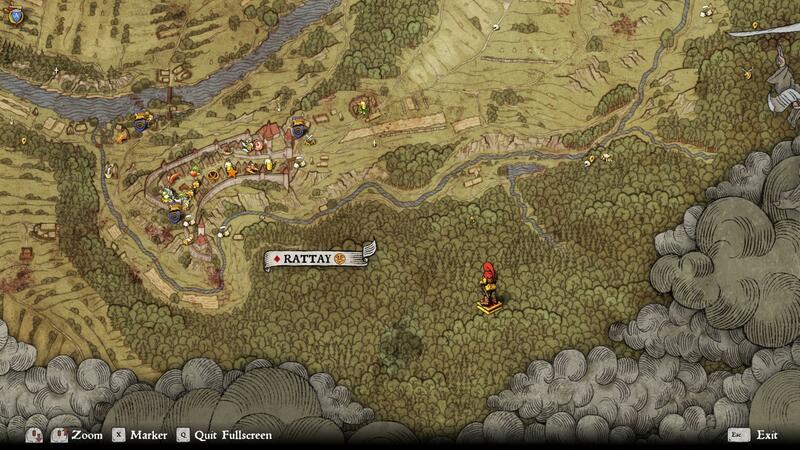 Follow the river South of Rattay untill you see a path that heads into the forest. 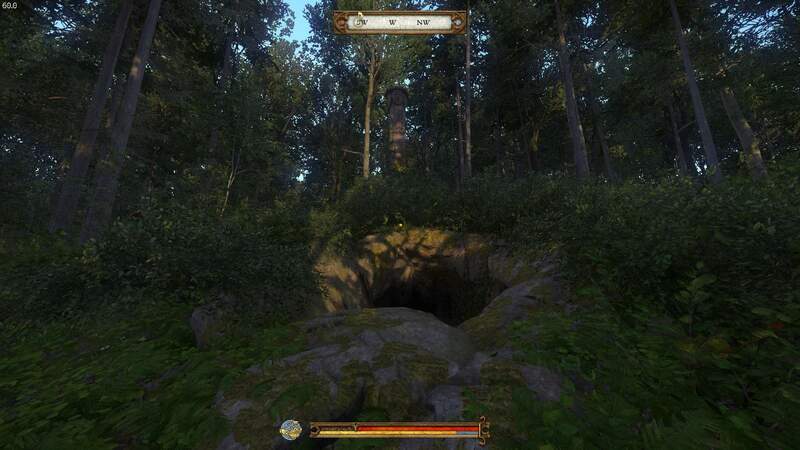 Along the path you will see some abandoned gardens and some ruins. 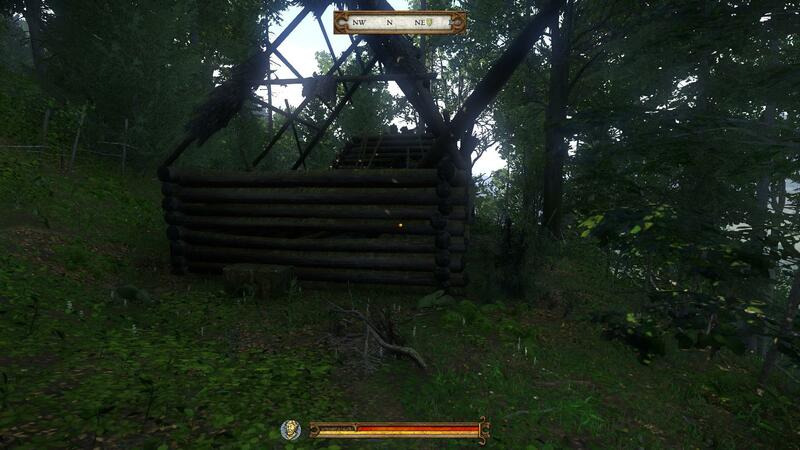 Head directly South from the ruins up the hill and you will find an abandoned log cabin with a Hard chest inside. 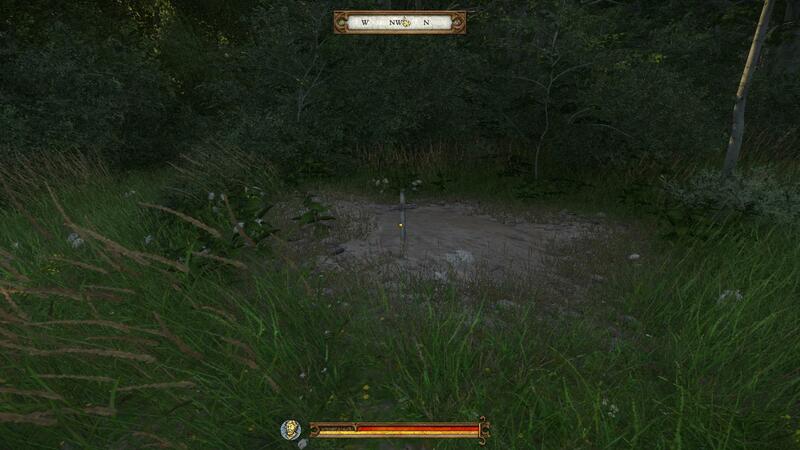 Located in Sasau, the treasure here is in a grave on the river. 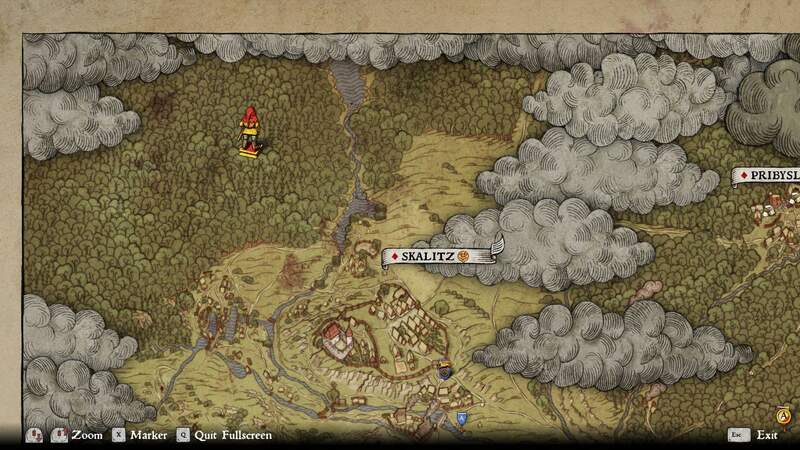 Located North East of Skalitz. 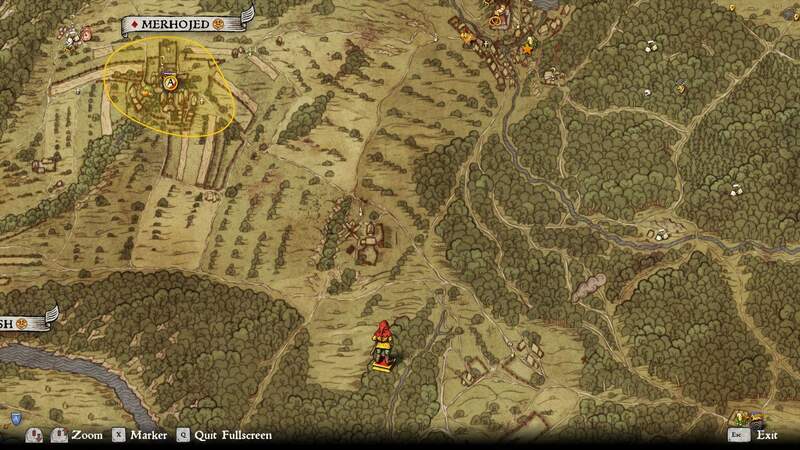 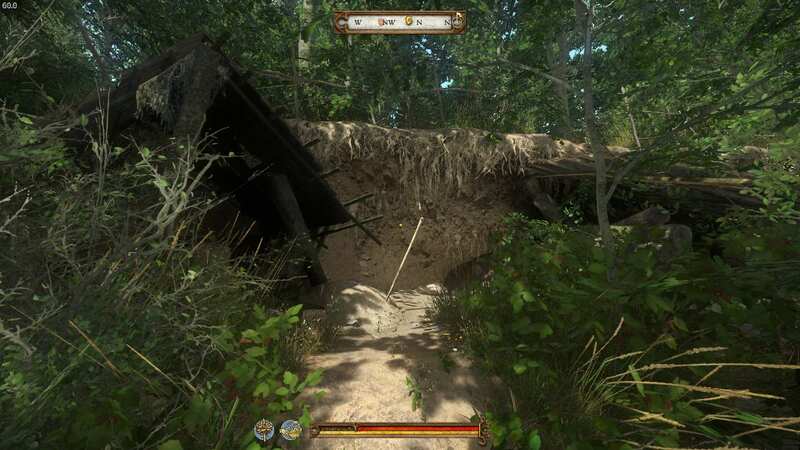 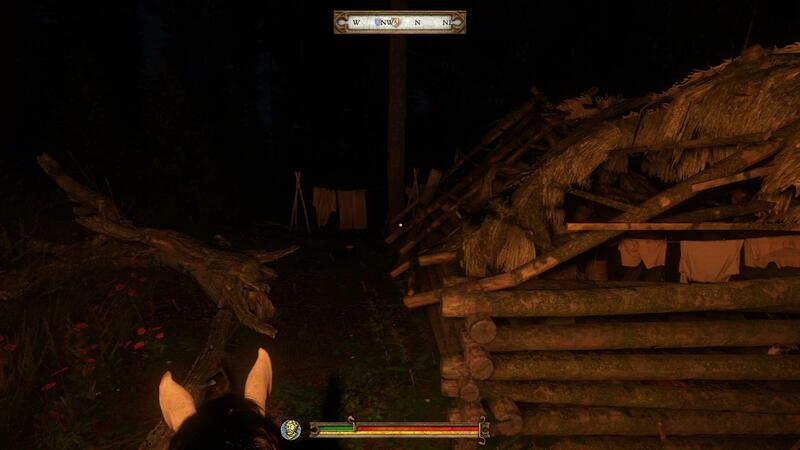 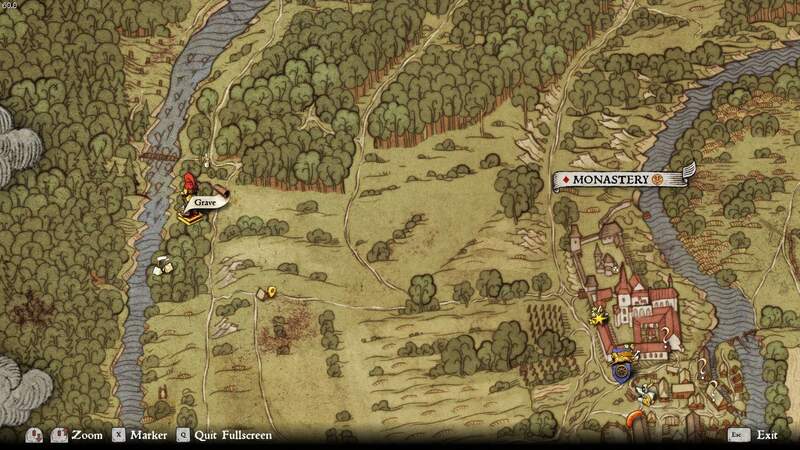 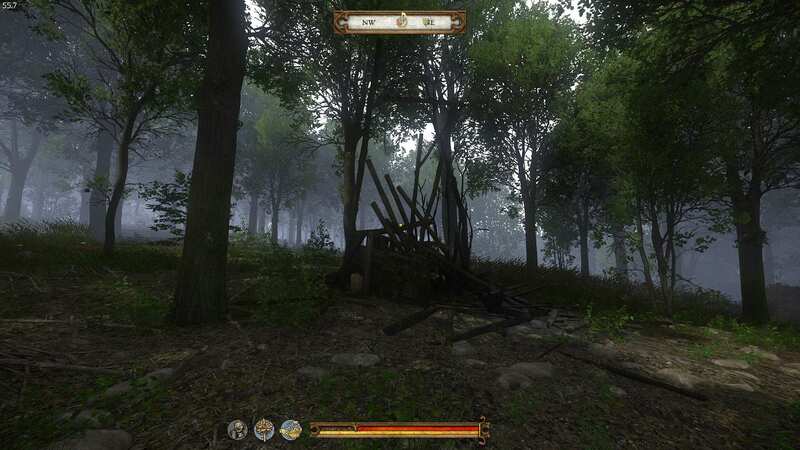 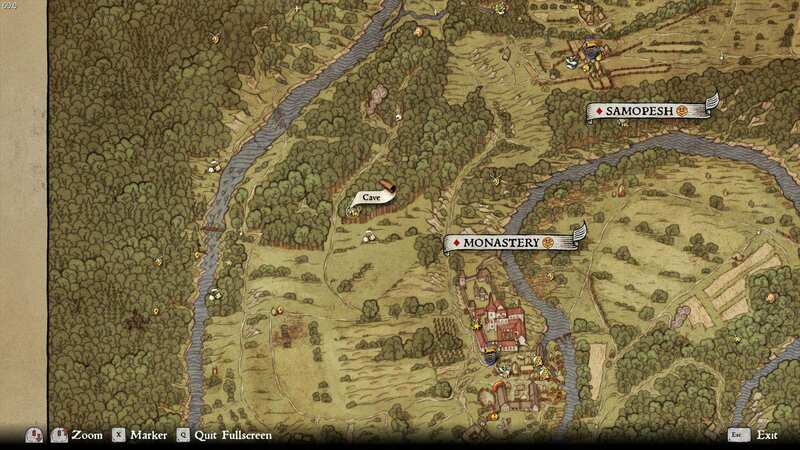 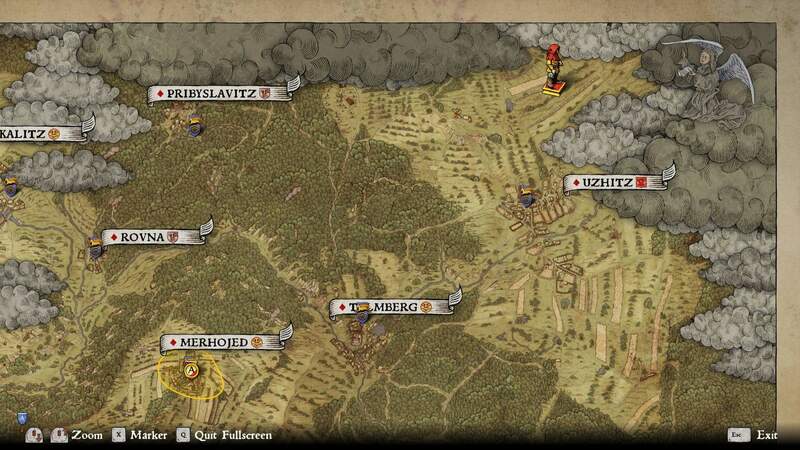 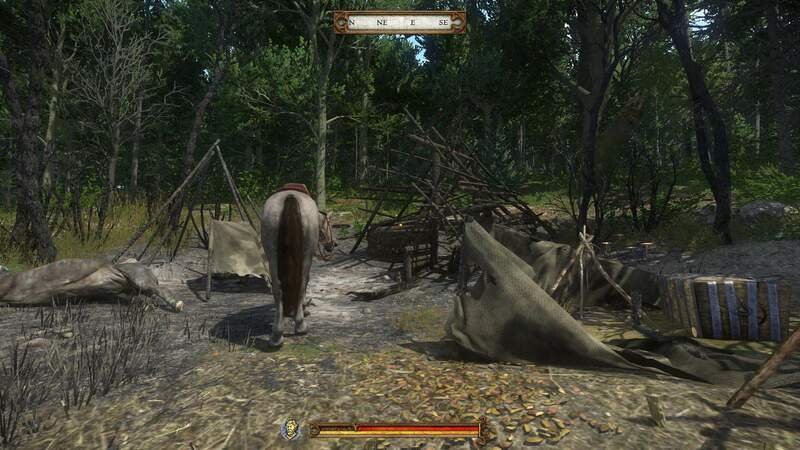 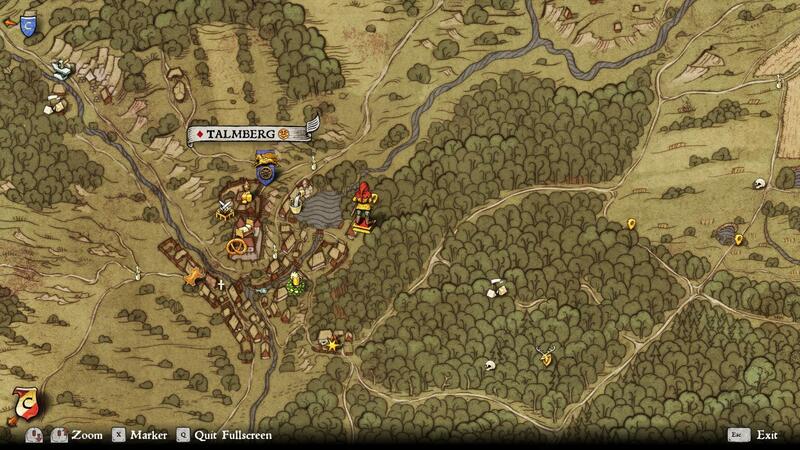 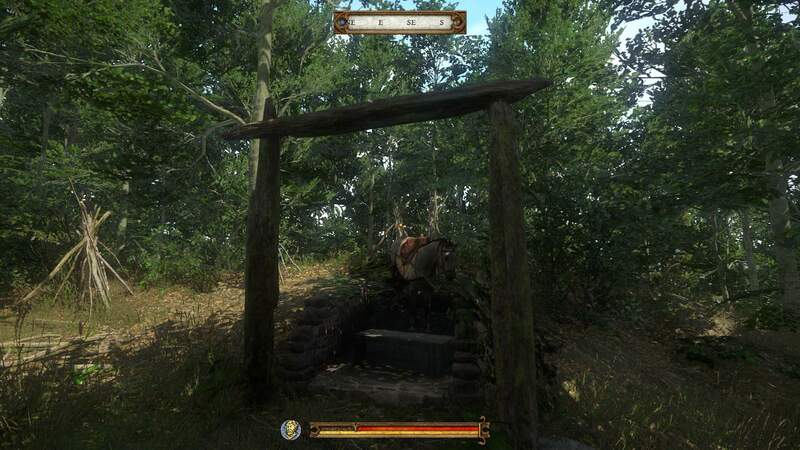 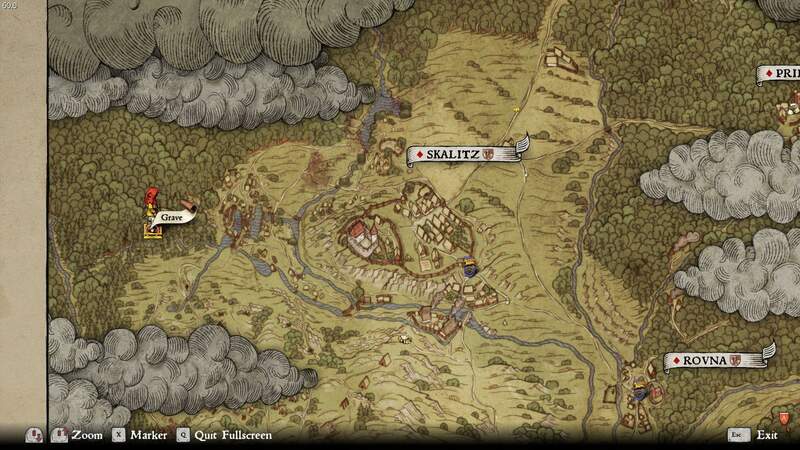 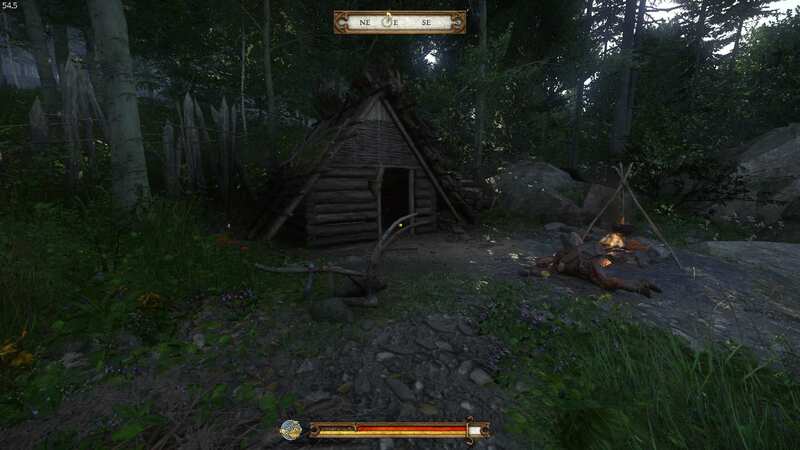 Follow the road North East from Skalitz until you find a hut with a shrine near by. 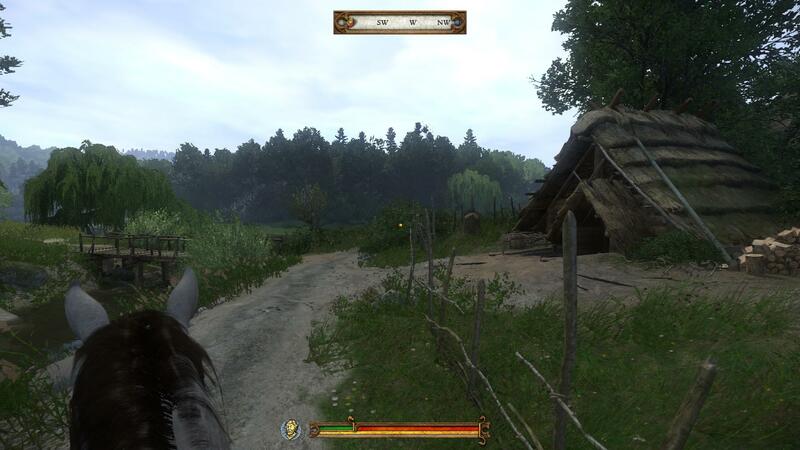 Continue along the road and you will see a farm to the East. 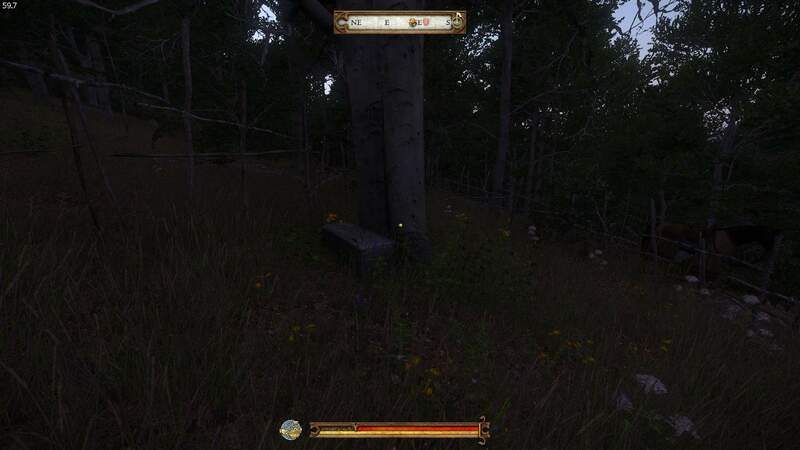 Head West from the farm into the open field and you will see a grave with some loot.